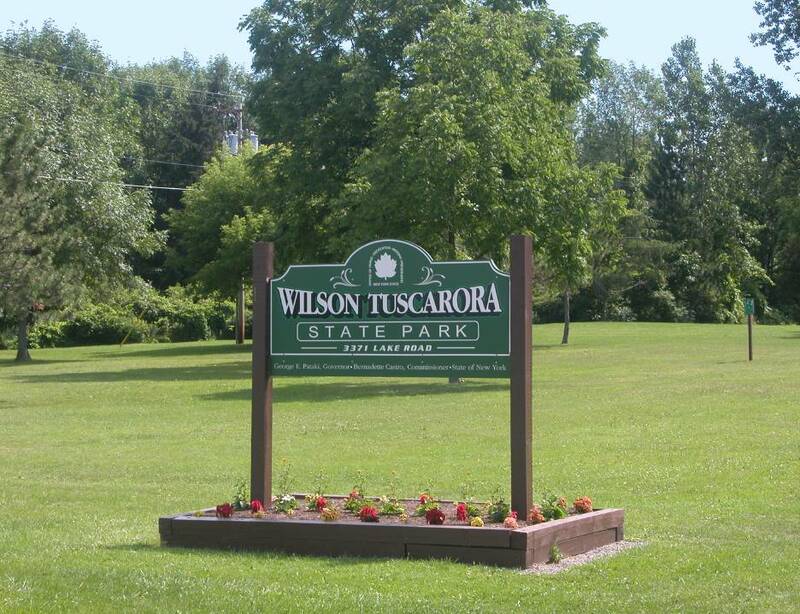 Wilson NY, A brief Guide and Directory - An Information Resource by Sandy Estabrook. 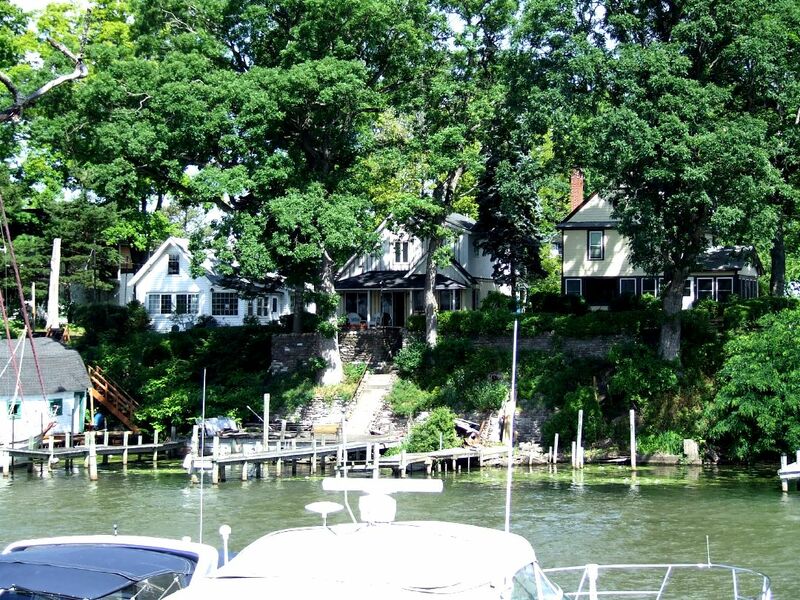 Wilson on the Lake - WilsonOnTheLake.com - by Sandy Estabrook - Update August 12, 2018.
town happenings and goings on. 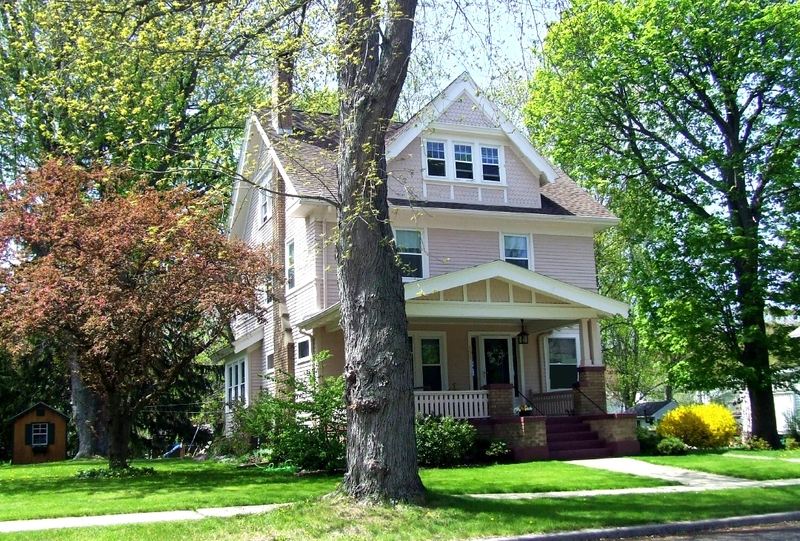 Ed Goodnight, is a long time Wilson resident and retired public school administrator. 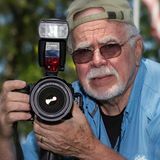 He is the regions lensman par excellence. His collection of regional photos say it all. (Flickr) | (YouTube) | (Facebook). 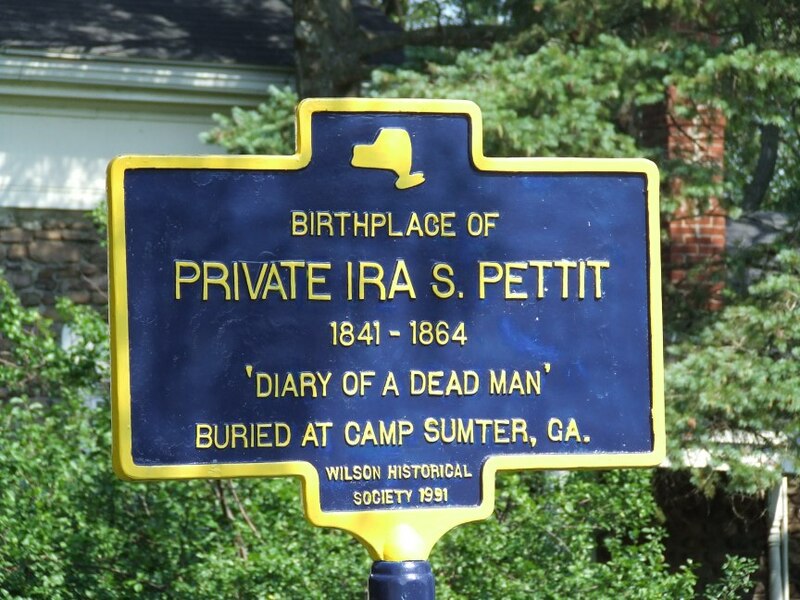 Ira Pettit: This Historical Plaque stands in front of cobblestone house #2 and was the home of the father of Private Ira Pettit of Company B, 11th Regiment, 2nd Brigade, United States Army during the War Between the States. Ira died at age 23 in Andersonville prison Sumter County, Georgia, of scurvy after capture. 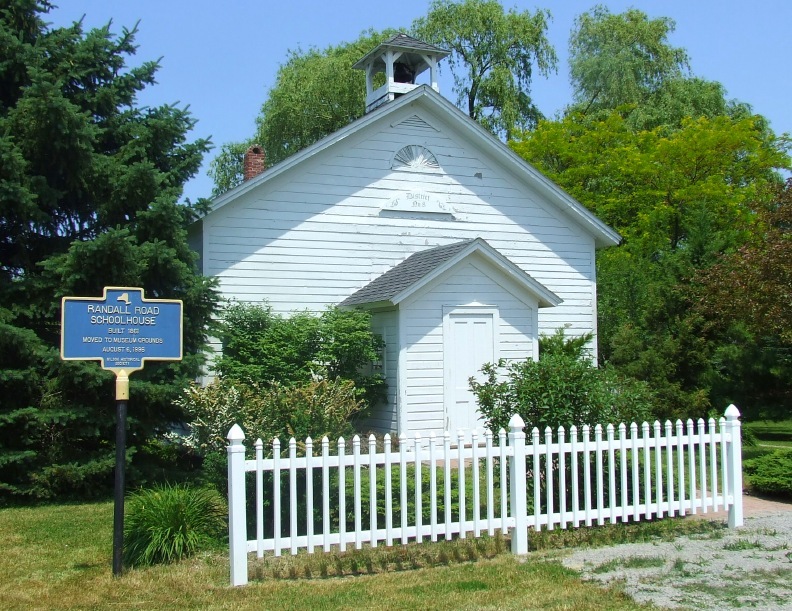 His personal diary was given to his Father and later published as "Diary of a Dead Man� Note: There are numerous commemorative plaques of this type scattered through the community. 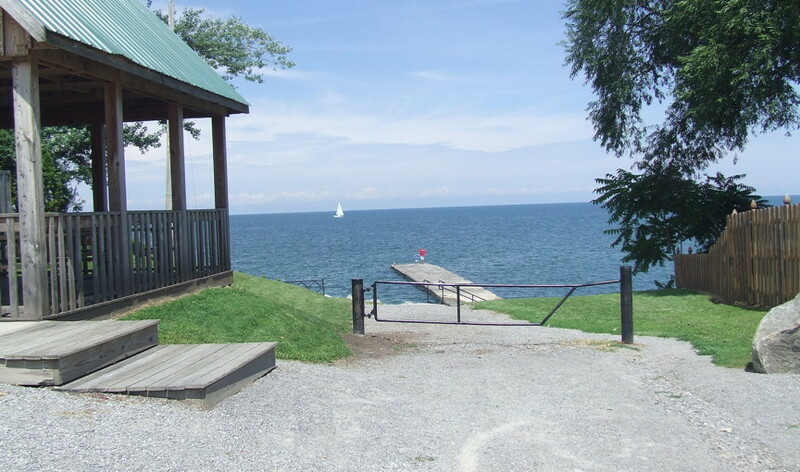 View of Harbor Entrance from Lakeview Park, Ontario St. 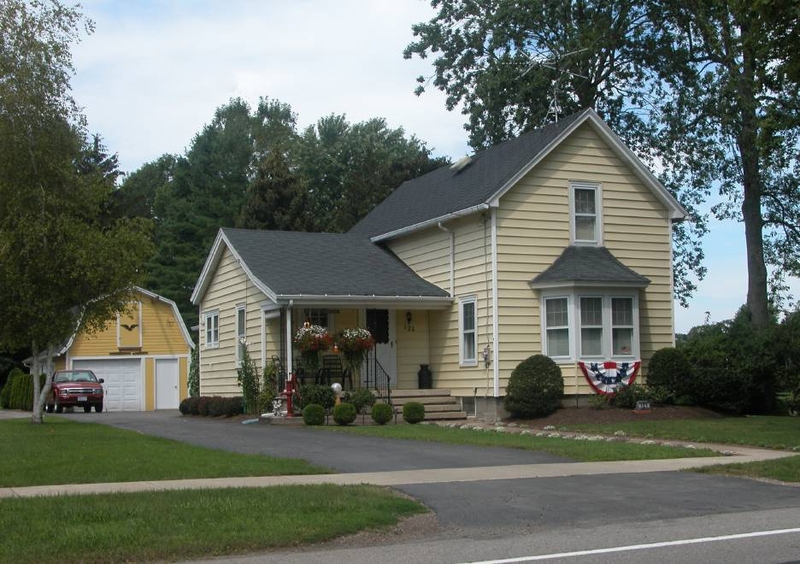 The Niagara County Village of Wilson is a sleepy one stop-light village and farming community of little change over the last couple decades. 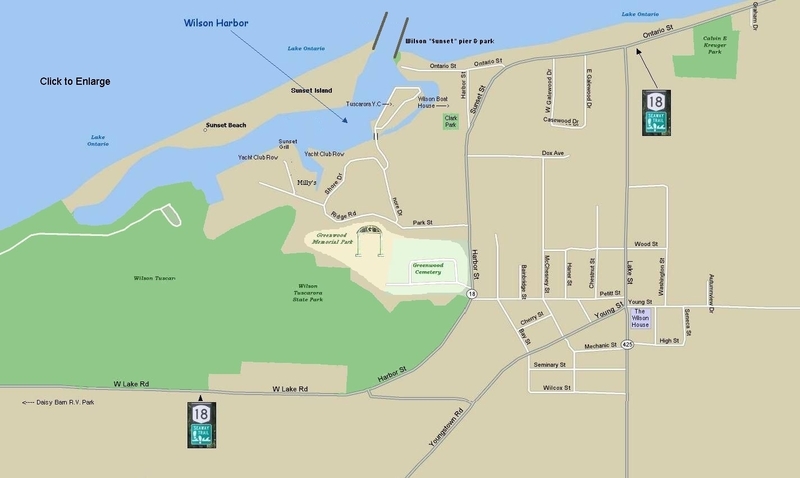 Wilson lies on Lake Ontario 20 miles east of Niagara , 62 miles west of Rochester and 37 miles across the lake from Toronto. 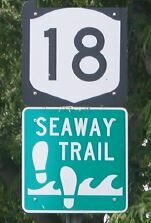 It's just blocks off Route 18 know as The Seaway Trail. 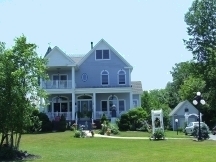 It's surrounded by corn fields, apple & cherry orchards, and all punctuated by an occasional vineyard. 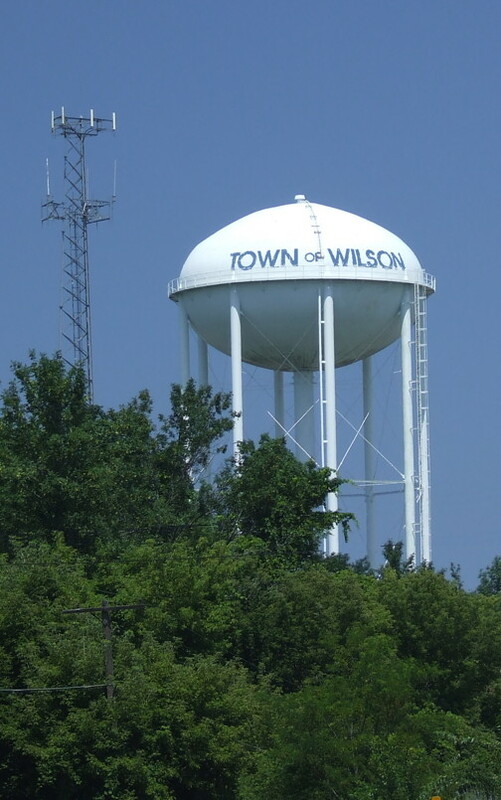 Wilson is also the name of the township (pop 6,000 as of 2010 of which 1,200 are in the village). 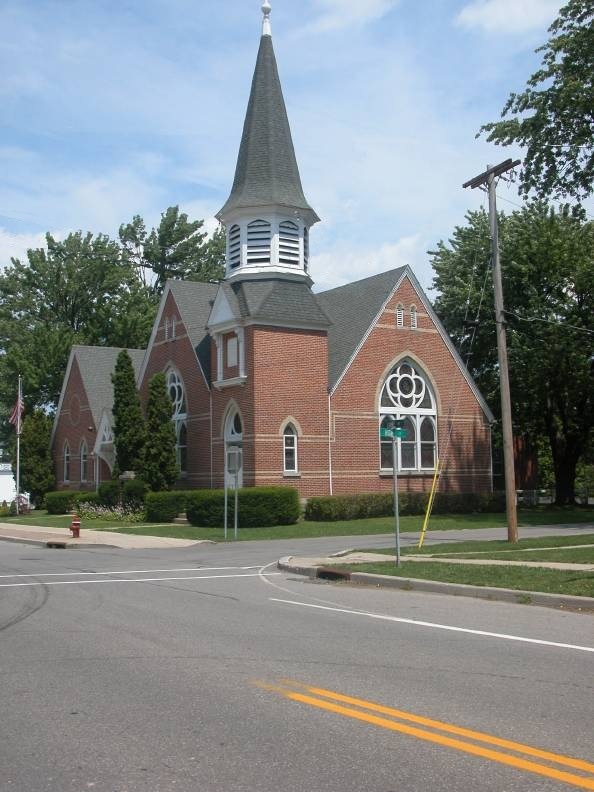 In 2008 the Village saw its Sesquicentennial and in 2018 the Town saw its Bicentennial. 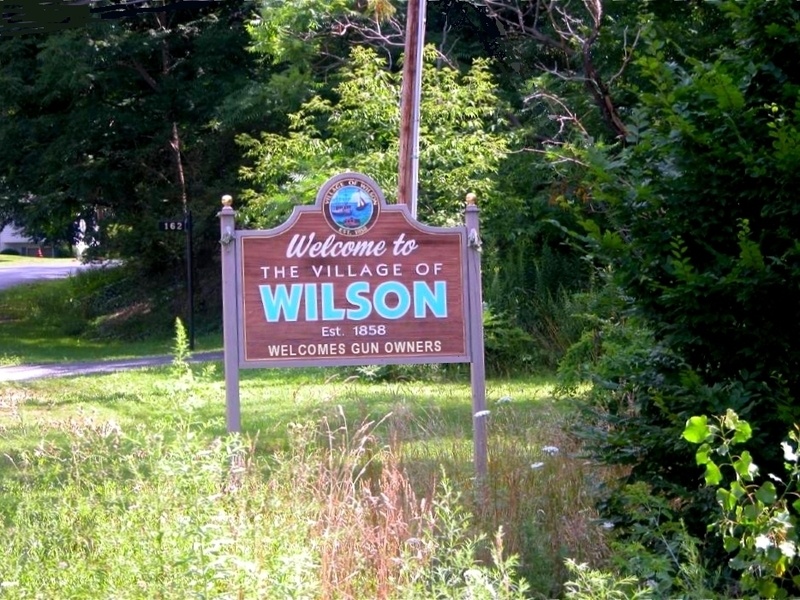 In 2014, the existence of the "Village of Wilson" as a political unit hung on a precipice. 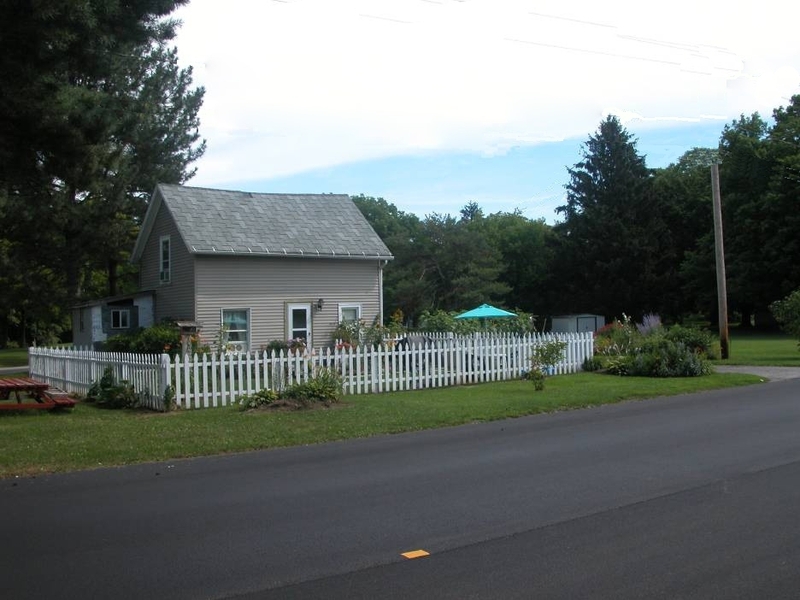 It seems enough of its citizens signed a petition to hold a referendum asking voters to consider dissolving the village since much of the Village services are duplicated by the Town at half the cost. The date for the referendum was set. The Results were 222 against dissolution to 209 for dissolution. 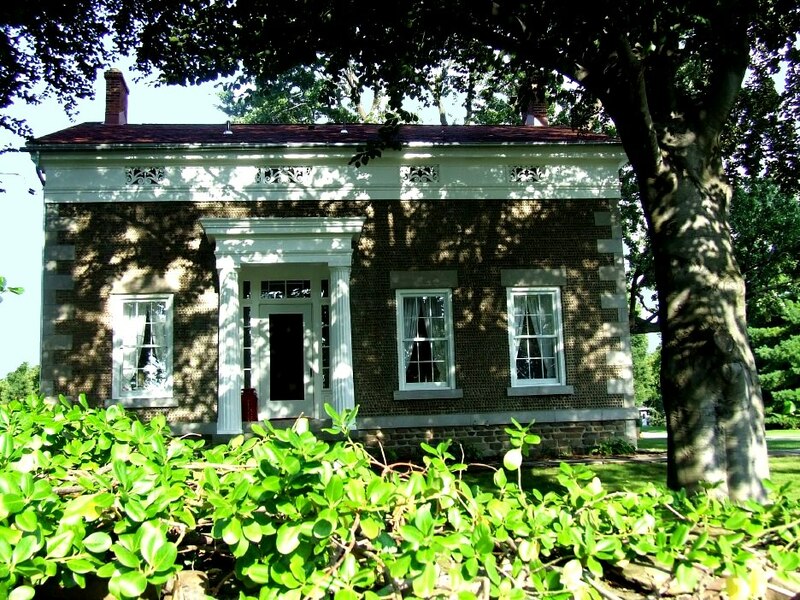 This writer started visiting Wilson in 2003 and have been vacationing every summer since. 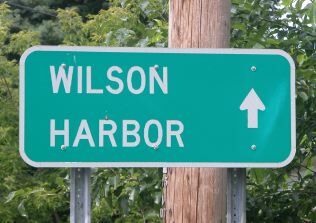 My wife grew up in Wilson and introduced me to the area with periodic visits to her folks who live on the harbor. 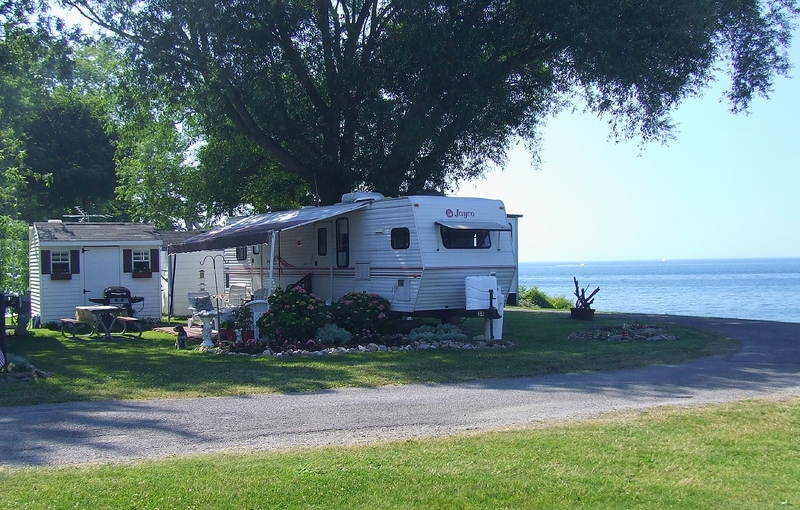 We now have our own home but remember fondly our camper at the Daisy Barn Camp Ground where we stayed and where I launched both this web page and Daisy Barn's website in 2006. 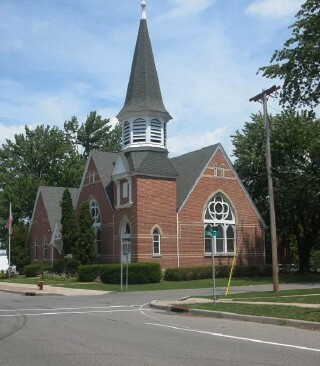 The pictures are mine with all overhead wiring removed. As an ex-NY'er (Stony Brook), having retired to Sarasota during the reign of Cuomo the 1st, I never thought I'd return. But being a boater and lover of the sea I've always gravitated to water where ever it be. Wilson is my first encounter with fresh water - a lake. 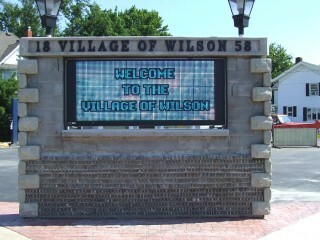 And with the companionship of my "Wilson Woman", I find myself in NY again for summer and fall. The Main Street (Young St.) looking west. 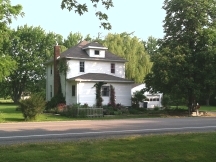 The Village lies just a couple blocks south of route 18. The harbor is couple blocks north. Both can be missed traveling Route 18. 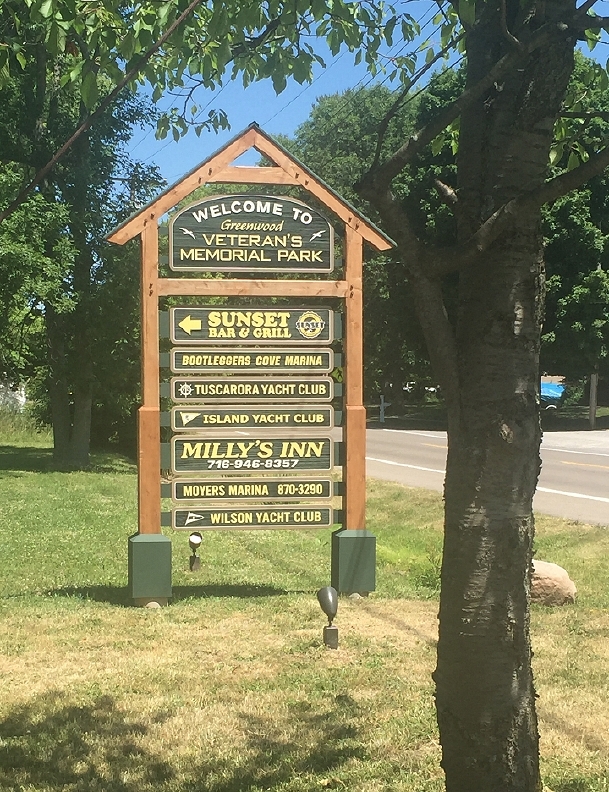 The only clue is a small sign pointing to Wilson's business district and the new wooden marina sign opposite Brownies Drive-In that points one to the harbor marinas and Sunset Grill. In addition to the villages many victorian homes lining the town side streets, you'll find what one might expect namely, an independent market, a pizzeria, one gas station / convenience store, a hardware store, a funeral parlor plus an assorted other half dozen businesses. 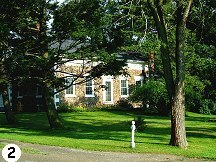 The Village also has a surprisingly active library for a village its size. Visitors with a laptop might want to stop by to use their WiFi connection the library's computer access, fax, scan and copy services. Where today, there is one gas station, there was once four, one food market, there were three and even a movie theater! The bank reminiscent of the Bonny & Clyde era departed in 2014, the liquor store the year after my arrival in '04. There are a couple vintage bars the Firemens Pub and Jeans Bar & Grill which has has been for sale for over a decade. 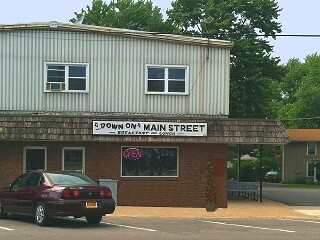 Just up the street is a typical small town luncheonette open for breakfast and lunch called "Down on Main Street" after the owners fondness of a song of the same name by Bob Seger. It's bright and lively and where the locals go. I go for lunch once a week for their BLT and cup of soup. 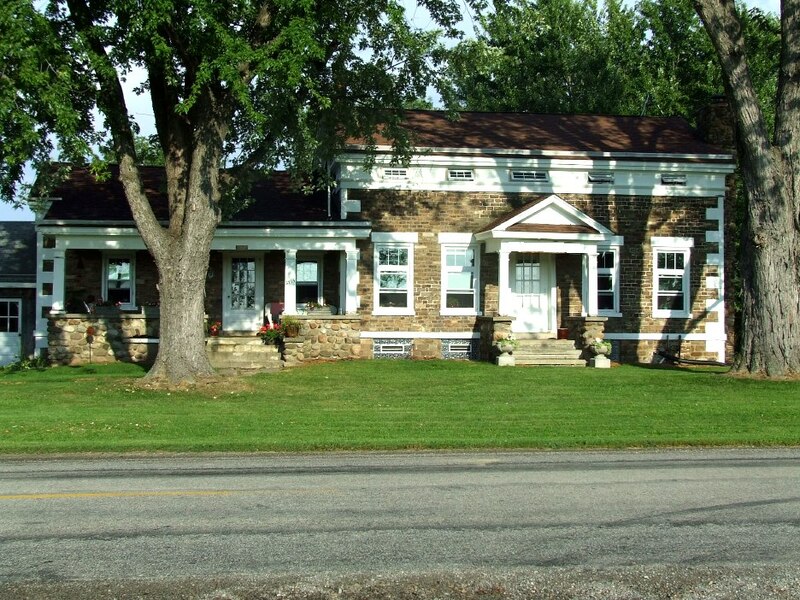 Still in town, we come to the ever popular and historic Wilson House Inn and Restaurant. 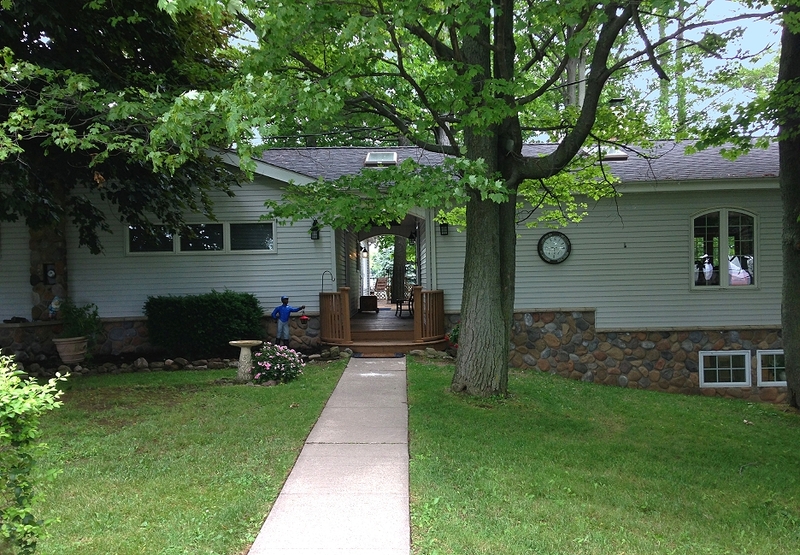 It recently changed hands and was completely renovated. It's been Wilson's focal point and principal gathering spot for decades. 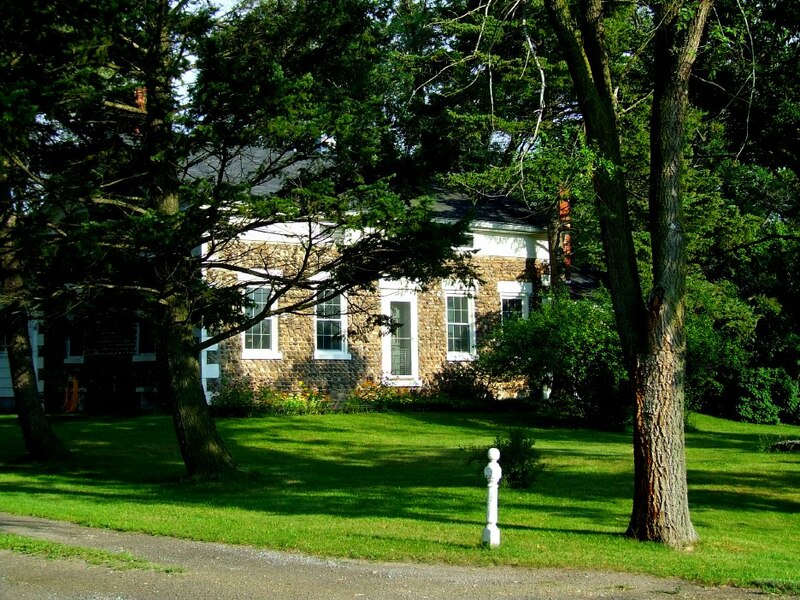 The cobblestone structure was built in 1844 for Luther Wilson, the town's namesake, and was once a men's club with a bowling alley in the basement. It is one of the few places one can stay in Wilson with six newly renovated rooms, and it's dining room is open all year. I was introduced to one of the partners, Jon Pashong, who gave me a tour during construction (fall '17). In a word Impressive - very impressive. [some picts] The new owners even installed a kiln temporarily in the old bar room for shaping of the wood for their rounded surfaces of which there are plenty throughout their do-it-yourself project. Wall covering has been torn away exposing the cobble stone walls. 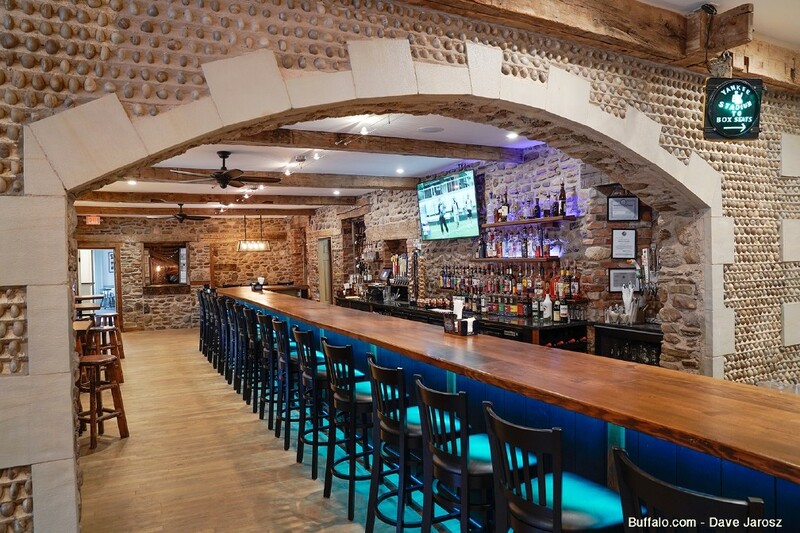 The way it has been redesigned is pretty much unrecognizable to the original and will greatly improve this old establishment. The new owners have really done it justice. Spring 2018 saw a great article in the Buffalo News, followed by another in Buffalo Magazine. When we visited just after its opening, it was really jumping. The old dining area now contains the new full length bar. Cece or Janice are likely to be your bartenders. Be sure to say hi. 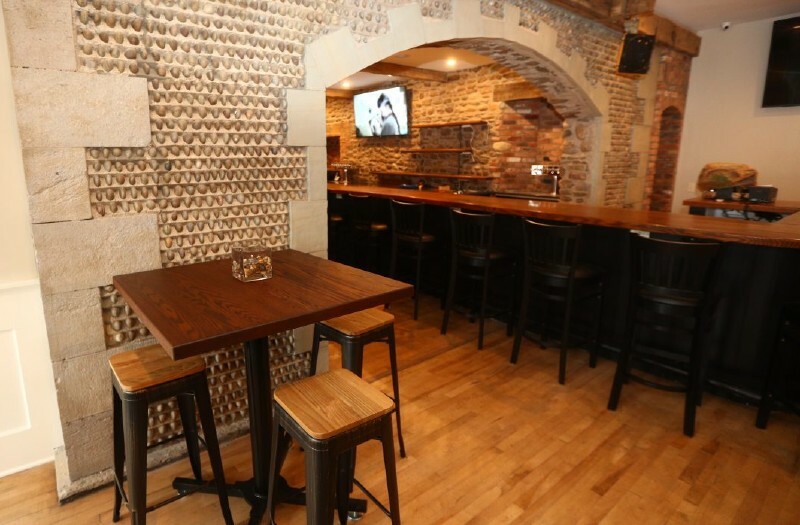 Where the old bar was is now the quietest, most intimate dining room in Wilson. On that first visit, I ordered the strip steak special. I received a fillet mignon. Seems that they had run out of NY strips. No complaints here. Chalk it up to growing pains. Another year-round and relatively new restaurant. 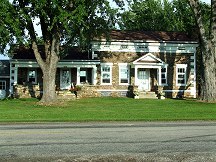 just blocks out of town, is the Woodcock Brothers Brewery, at the old Cold Storage Building located across from the flea market grounds on Lake St. (Rt. 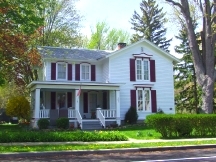 425). If beer is your thing this is the place. They must offer a dozen brews all made on premises with the most popular being Niagara Lagger. 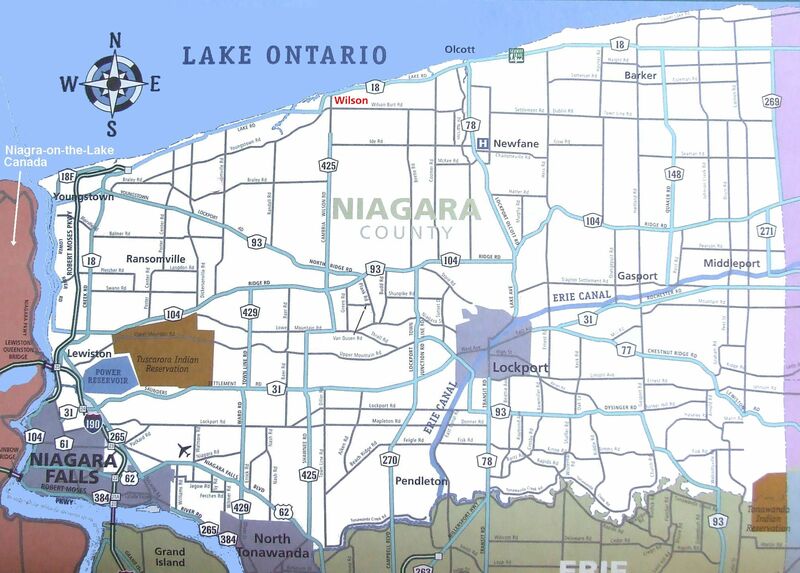 You'll find there beer elsewhere through western NY. 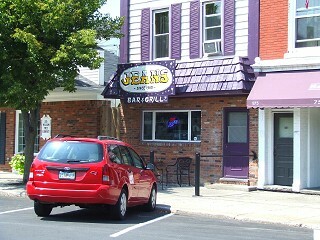 Their restaurant menu offers simple fare basics - burgers , wings & pizza. 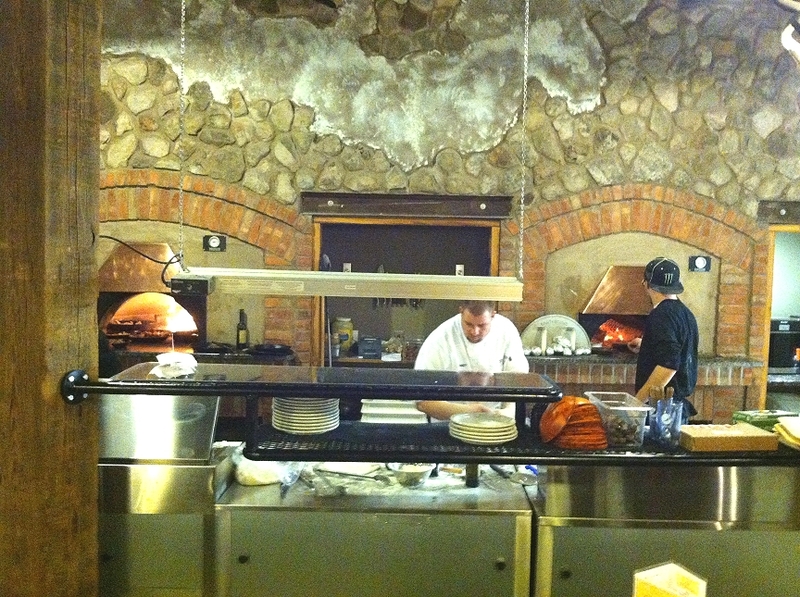 All is prepared in their wood burning stoves. Daily specials are also offered with my favorite being Friday's NY Strip and Cedar plank salmon. They pride themselves in offering their burgers 2 ways, either "Med-Rare or Burnt". One evening, four of the six of us ordered Medium rare. 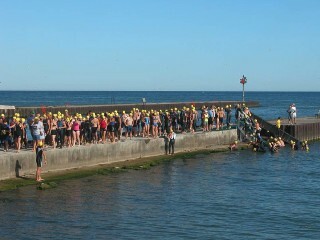 We all received well done. Must have been a new chef. My bringing this to their attention got us a "better luck next time". Outside, you'll find other attached retail space including their latest addition - "Savage Woodcock", a bottle shop that highlights wine, spirits, and beer from all across New York [only] with their big attraction, being there tasting bar. Of course you can buy a bottle of wine to All are linked on Woodcock's website. 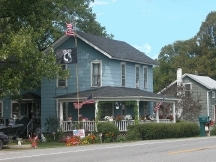 The arrival of Milly's Inn in 2014 was welcoming news, with Wilson having been short on accommodations. 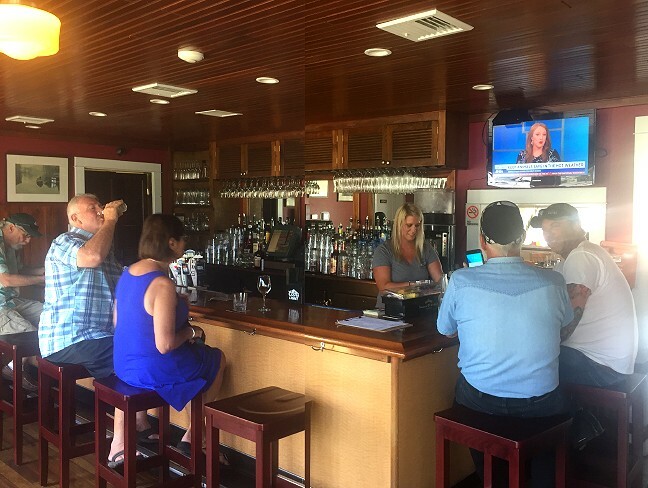 It's located at lovely location on O'Connor Island near the Sunset Grill on a small tributary with great views of Wilson Harbor from their spacious deck. 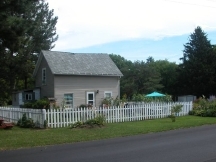 The proprietor, Diane Johnson offers four well equiped rooms, all with private bath and entrance, Wifi, TV small fridge and microwave. Two more rooms are in the works. 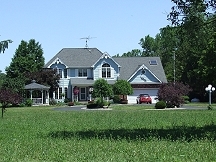 There's a recreation room with pool table and workout equipment, a large common area with a spacious kitchen. 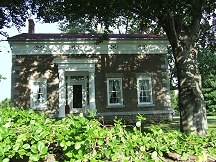 Rooms may be rented by the day or week. 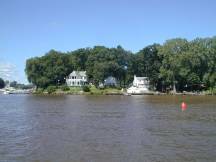 The pi�ce de r�sistance is her Haunted Harbour Walks offered weekends during summer. And you do not have to be a guest to participate. Some serious work & research went into this endeavour which was all written about in a Buffalo News Article. 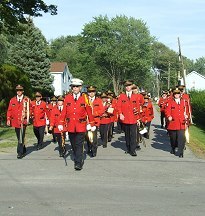 Throughout summer there are many annual events scheduled by the Town of Wilson not generally associated with a town its size. 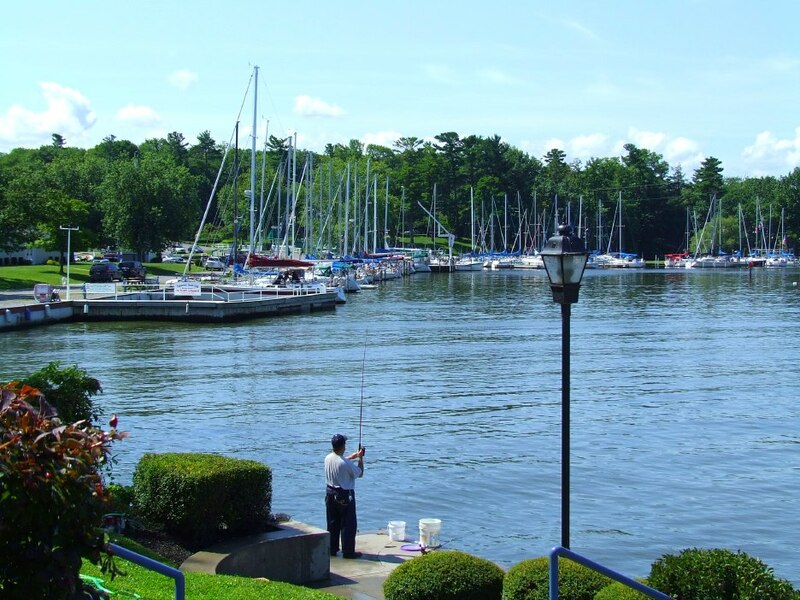 Every summer starts with the Wilson Harbor Invitational Fishing Tournament. 2018's contest was the best since it's inception. Next on the calender on Memorial Day is the Grand Scale Flee Market at the fair grounds by the Historic Railroad station. Vendors and visitors show up from all over Western NY & Canada. Then there is the 5K Salmon Run, and later in the summer a triathlon. 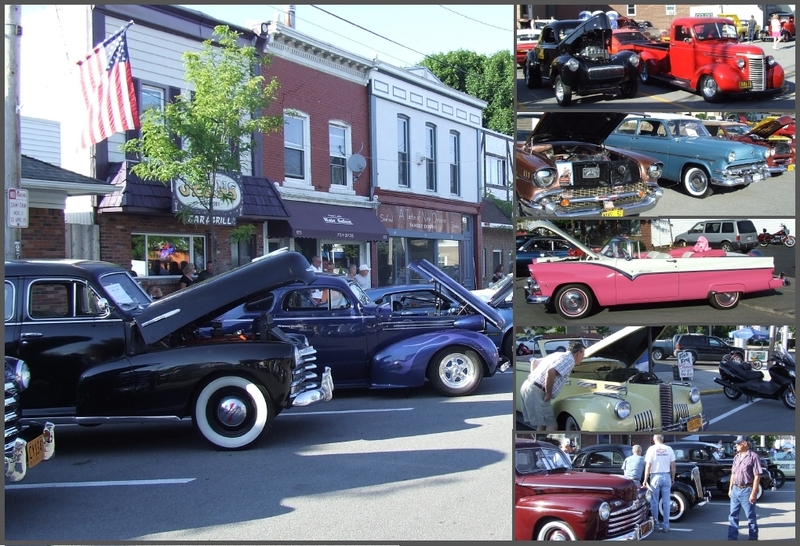 Old car & hot rod enthusiasts "Cruise In" in late June. 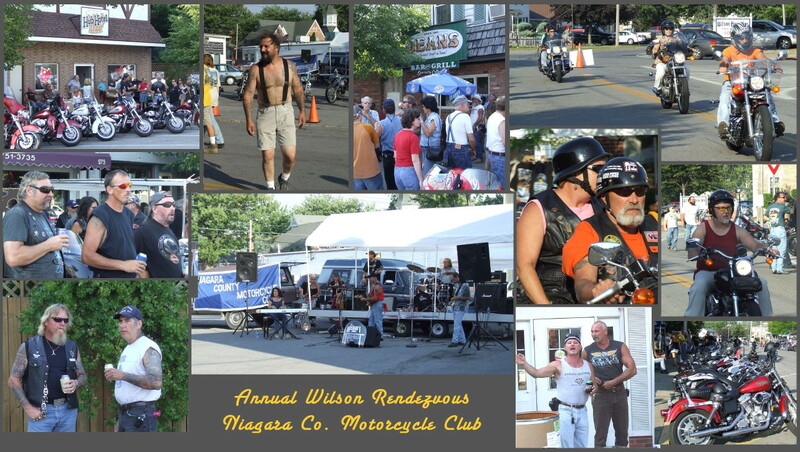 The Niagara County Motorcycle Club congregates for their annual Wilson rendezvous too. There is a Wine Tasting & Fair, usually the first weekend of August. 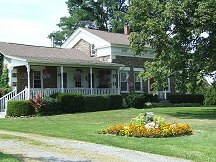 featuring numerous Niagara County Vineyards. The premiere event, late August is "Field Day". Music, rides, games of chance attract visitors from far and wide. 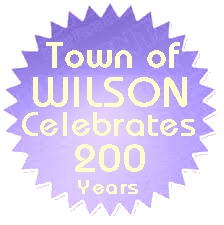 2018 being the Town of Wilson's Bicential will no doubt offer other events. 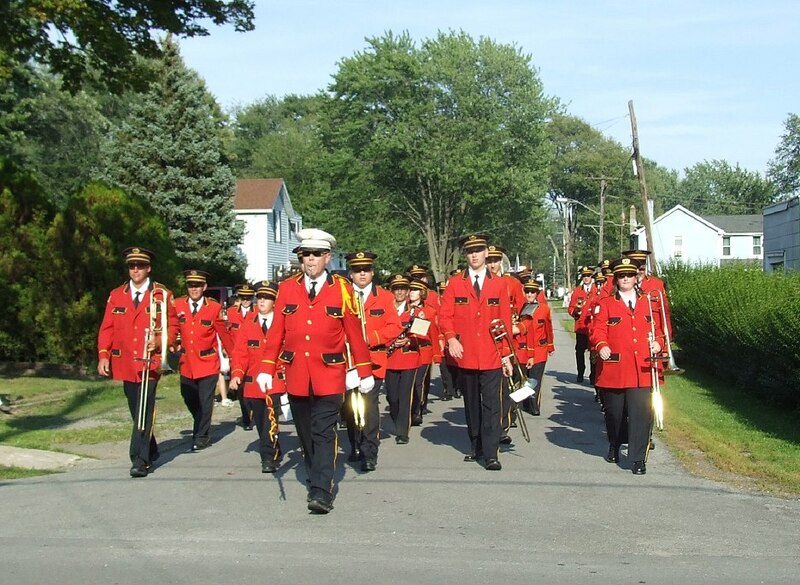 Be sure to check the Calendar of events on both the Village's Website. and the Towns Website. 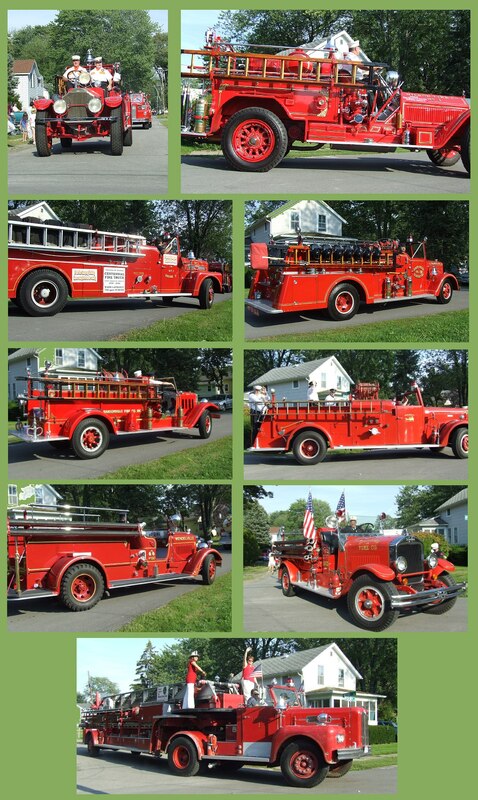 As mentioned the Town's biggest event is "Field Day" held the last weekend in August to raise money for the Volunteer Fire Dept. 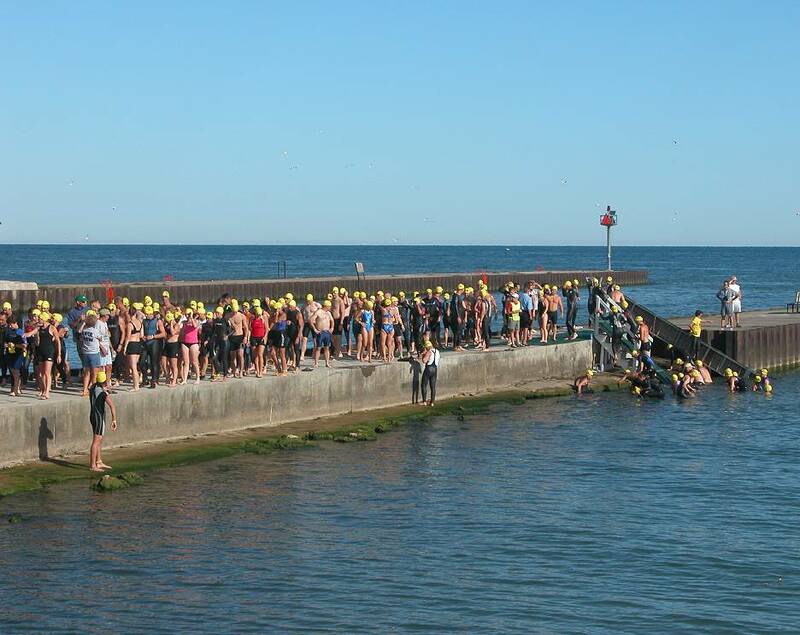 It's Wilson's major event and a place to rub shoulders with the locals. Field Day is duplicated by many of the regions neighboring villages. 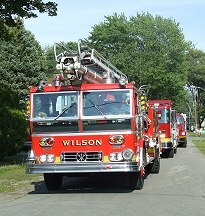 In each community's Field Day, neighboring towns "contribute" bands, floats, Classic Fire Trucks etc. 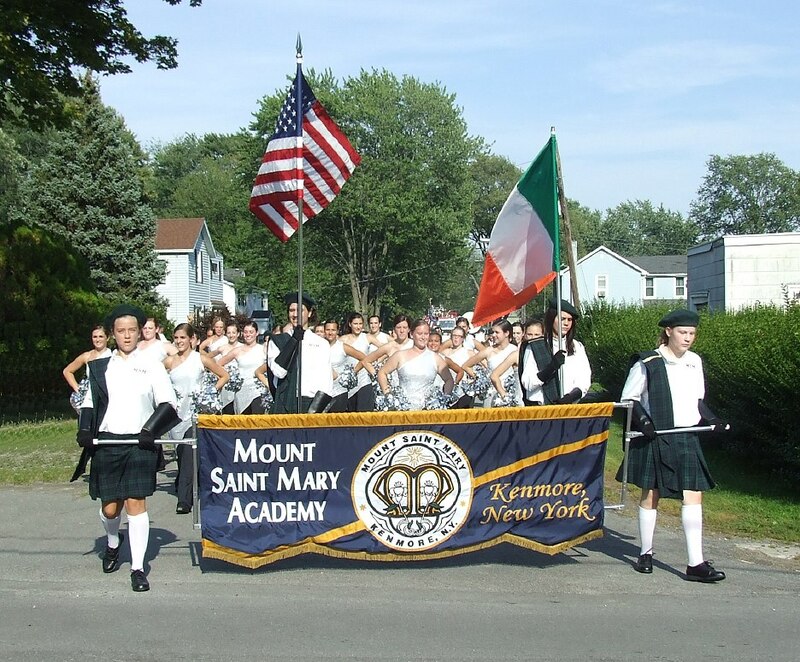 for their parade. 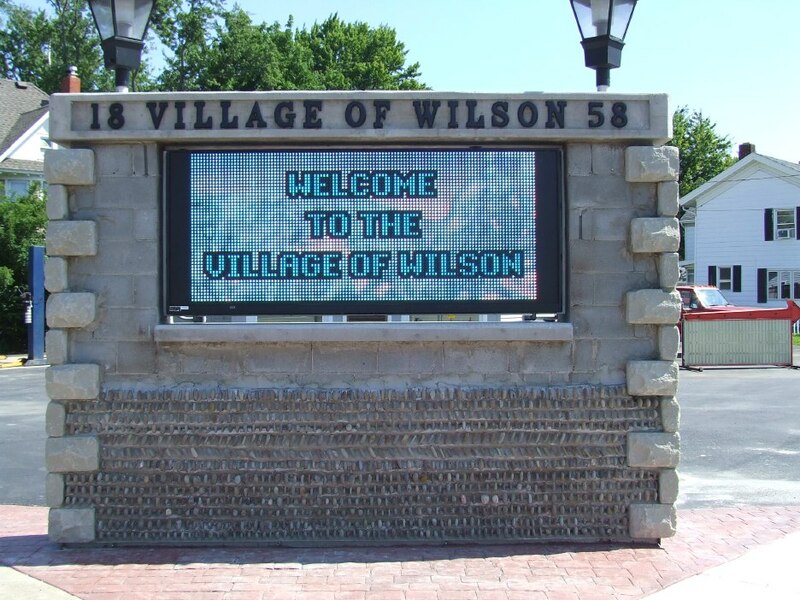 Essentially Field Day is a small town carnival with Wilson's being one of the largest with mini rides for the kids, games of chance, food stands featuring local fare. Every year early on during the event, I head down to the fire station for a gallon of their homemade chowder (chicken, corn and other local produce). It's fantastic, but they run out early. And yes, it can be frozen. 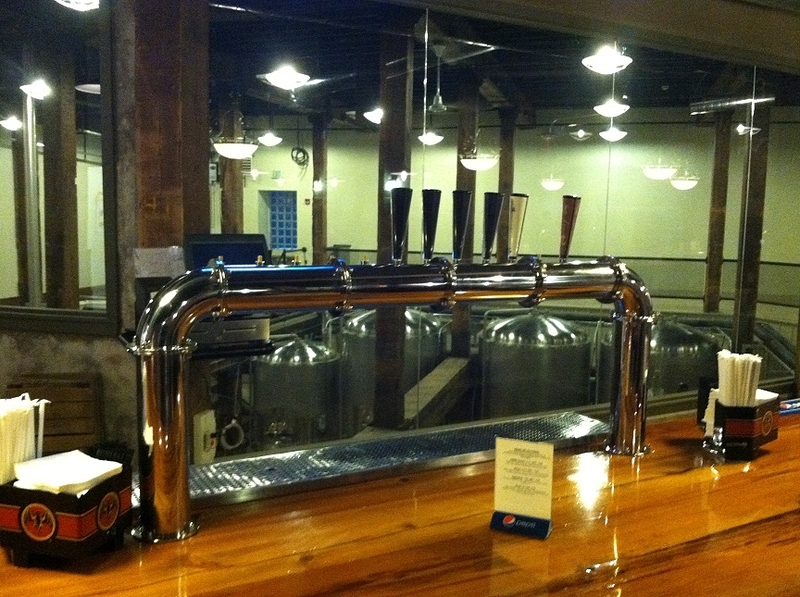 The fire station doubles as a beer hall often accompanied by the music of a live band after the parade. 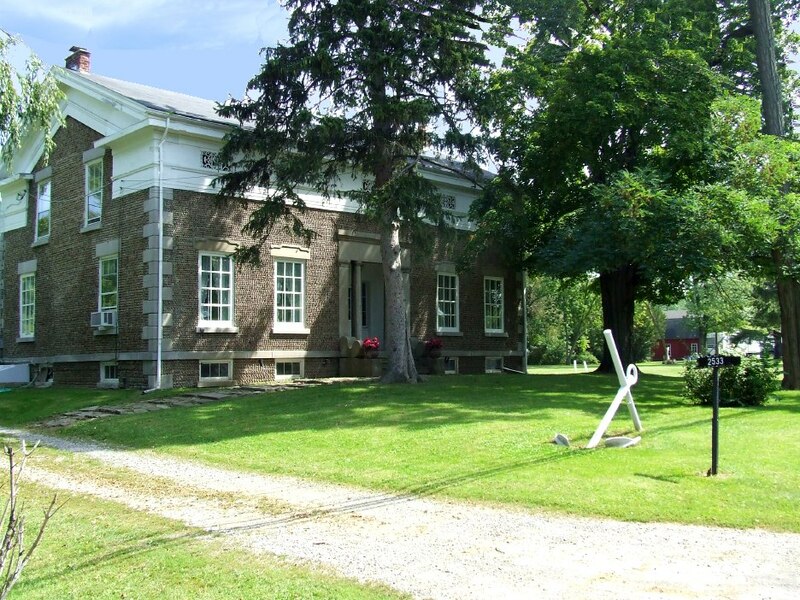 Regarding Field Days, sadly we've learned than some of Niagara Counties villages no longer engage in the Field Day event with others on the cutting block. 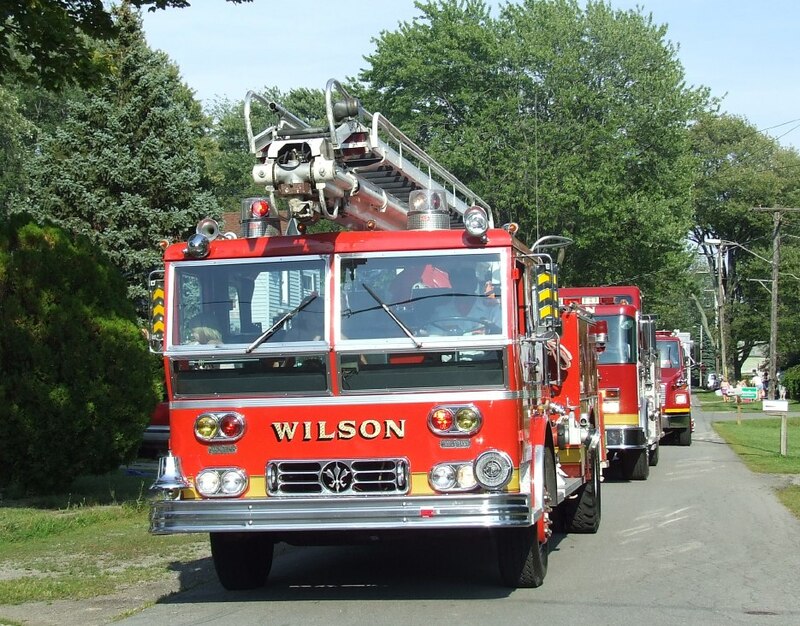 A way of life for generations, going into the history books with Wilson's still surviving. 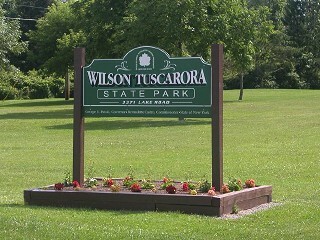 Just a couple miles west of the village on Route 18 you find Wilson-Tuscarora State Park. 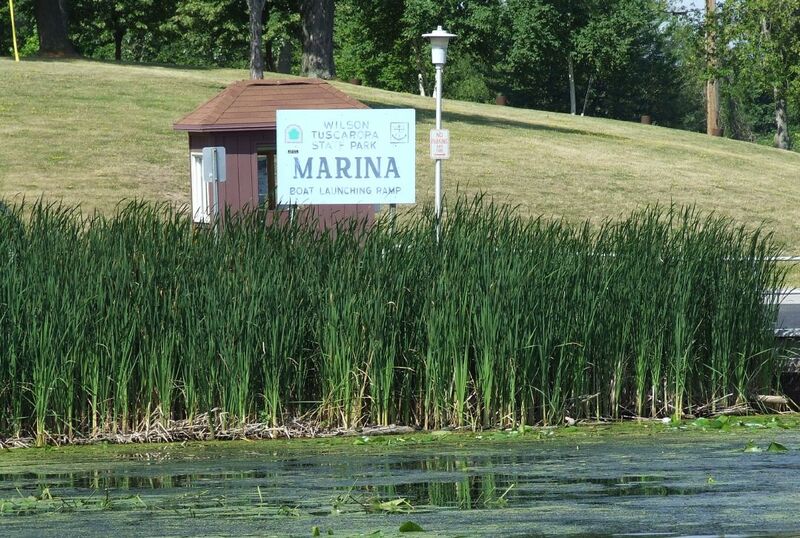 It's right on the lake and has many offerings, not the least of which is a regionally favorite sport called Disc Golf. I have to admit, I never knew there was such a sport until first seeing it played here back in '06. As the name implies, it's a cross between Frisbee and Golf. 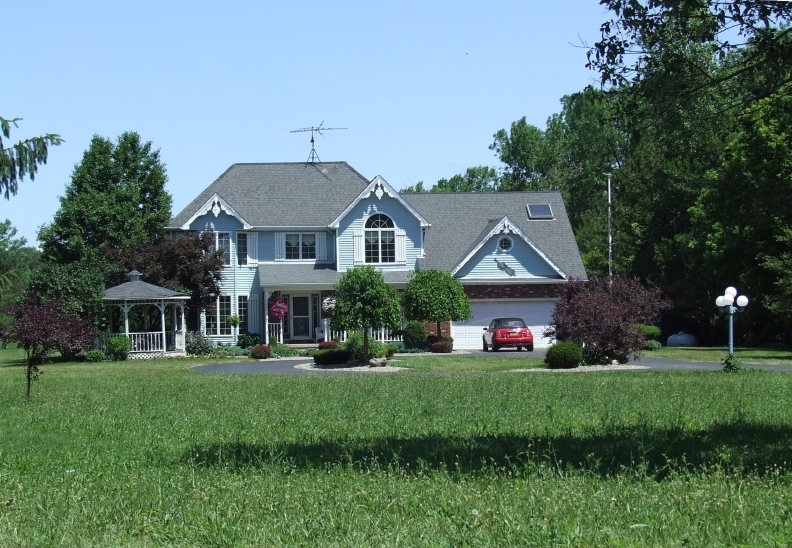 It's played in wide open areas like a golf course and very popular in this region. Want to know more? Greenwood Veterans Memorial Park is not a place a passing tourist would consider visiting. But please do, it is well worth it. 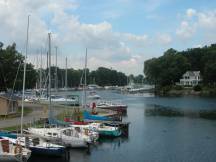 It's a short walk between the harbor's yacht clubs and marinas and the Village. 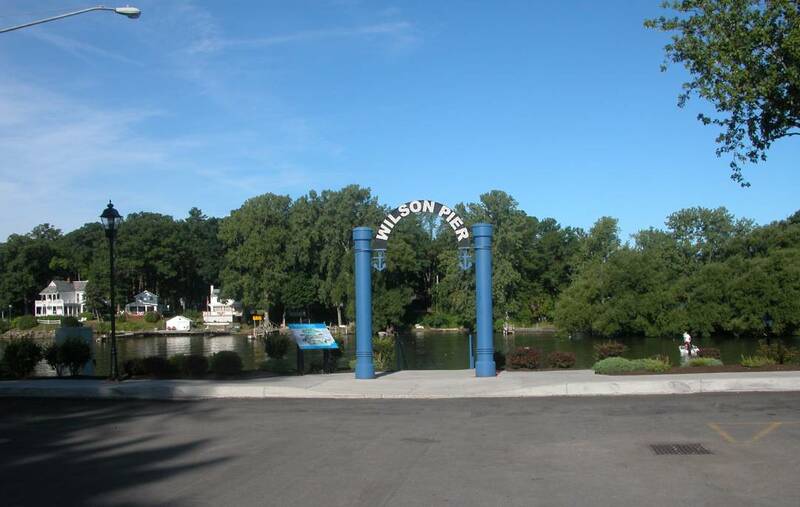 It is truly an uplifting and spiritual spot commemorating the Wilson men and women who contributed the ultimate to their nation. 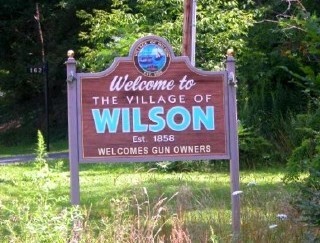 For a town the size of Wilson, you wont find a lovelier memorial park. It's worth a visit. More info & picts are here. 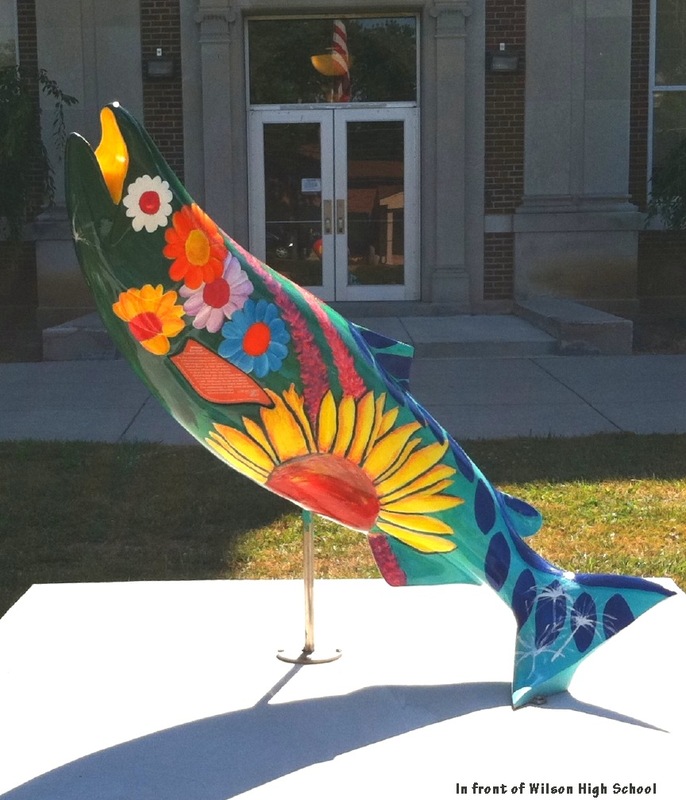 A few years ago, art students from the Wilson School District, teamed up with local businesses and community organizations to create the Schooling Fish Public Art Installment . The benefactors, business or individuals would in essence contract an artist to create a fish to their liking and to be placed a point of interest or prominence. The whole story is here and for a printable walking map locating the first eight of these beautiful sculputres, click here. The Harbor is where the action is. 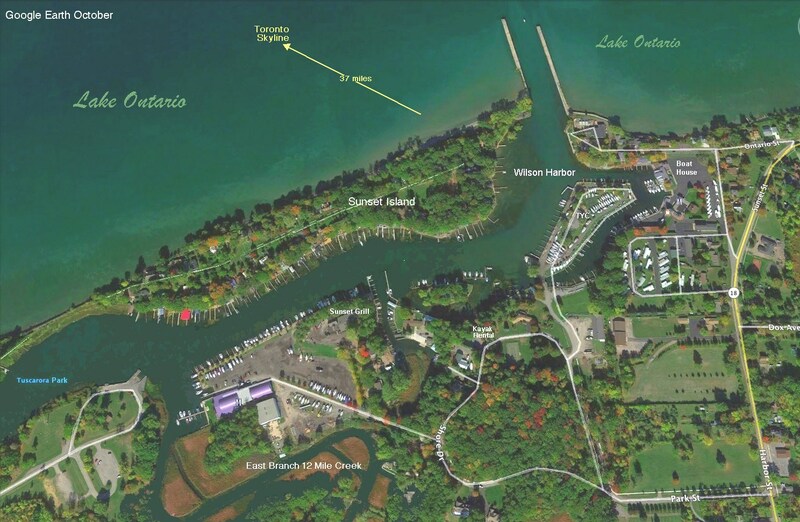 Here you'll find four Yacht Clubs, namely the exclusive Tuscarora Yacht Club (Aerial), the Island Yacht Club, the Wilson Yacht Club, and the Bootleggers Cove Marina (Prev. 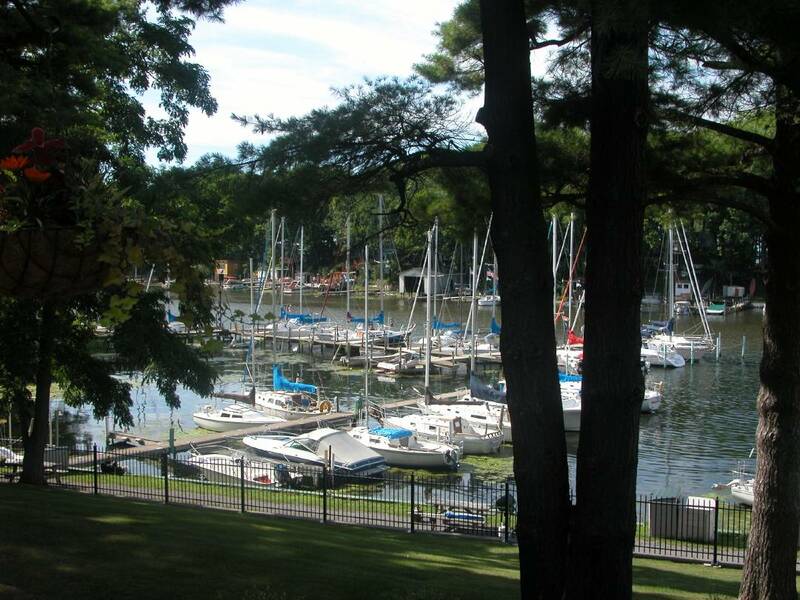 Sunset Bay Marina). 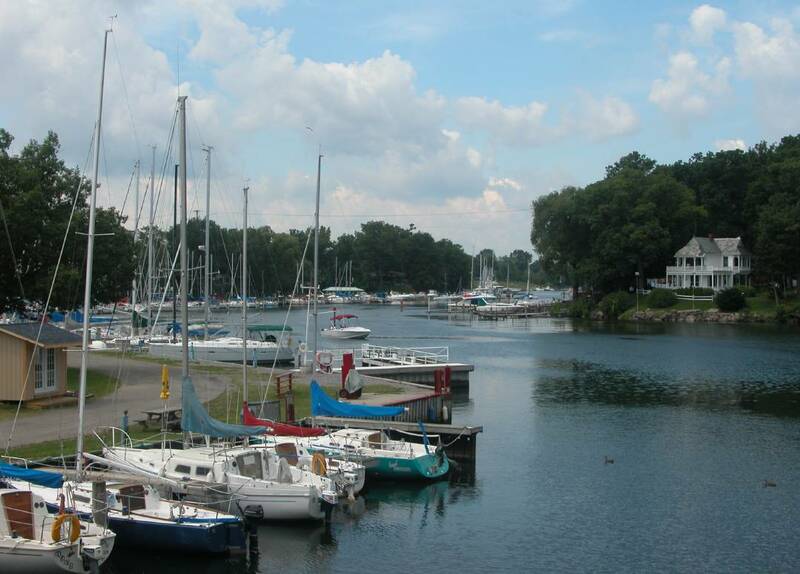 Many have reciprocity with other Lake Ontario clubs. 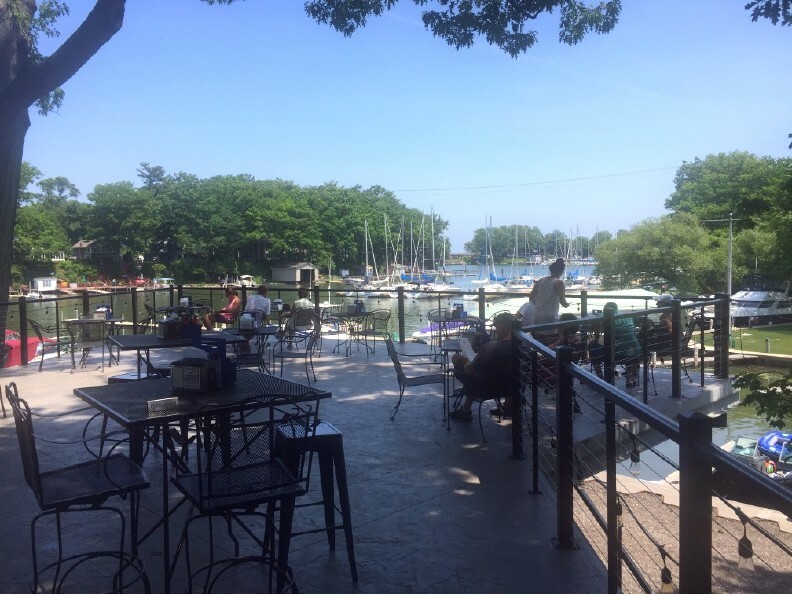 Adjacent to the latter you'll find the popular SUNSET GRILL, the harbors west side action spot, which recently underwent major renovation including the addition of a catering hall. It's open seasonally. 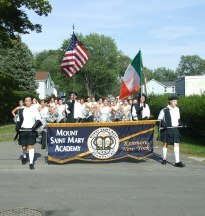 During summer it has live music on Wednesday and Sunday afternoon. Old timers will remember the Grill as Ebinezer's. 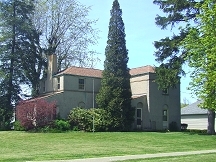 There are three dining areas. 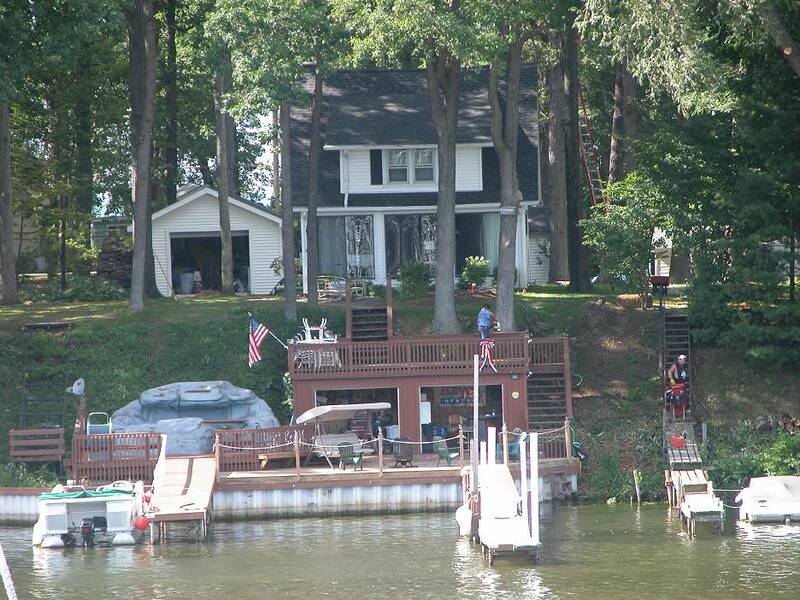 We like the outside deck. It also has two bars, inside you'll find bartender Chad and an outside bar facing the bandshell and the view shown below. 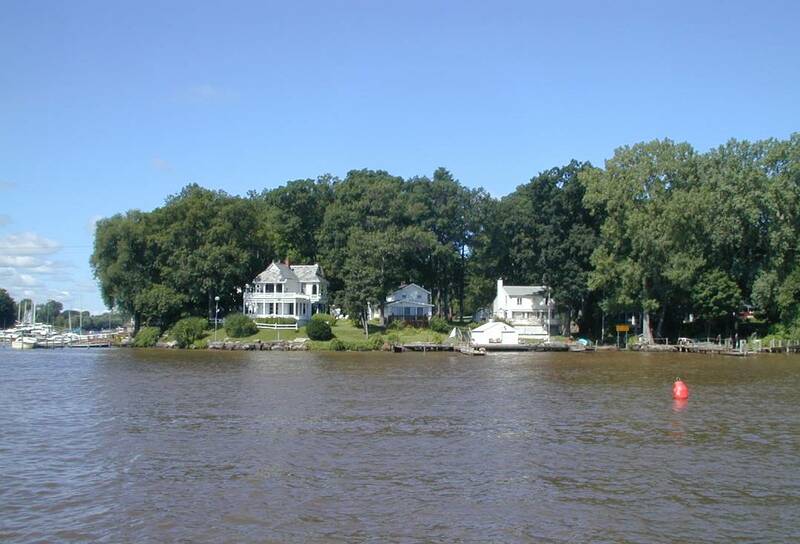 The focal point of the Bar & Grill and many of the establishments that surround the harbor is the exclusive enclave of SUNSET ISLAND on the Harbors north side which is primarily accessible only by boat. 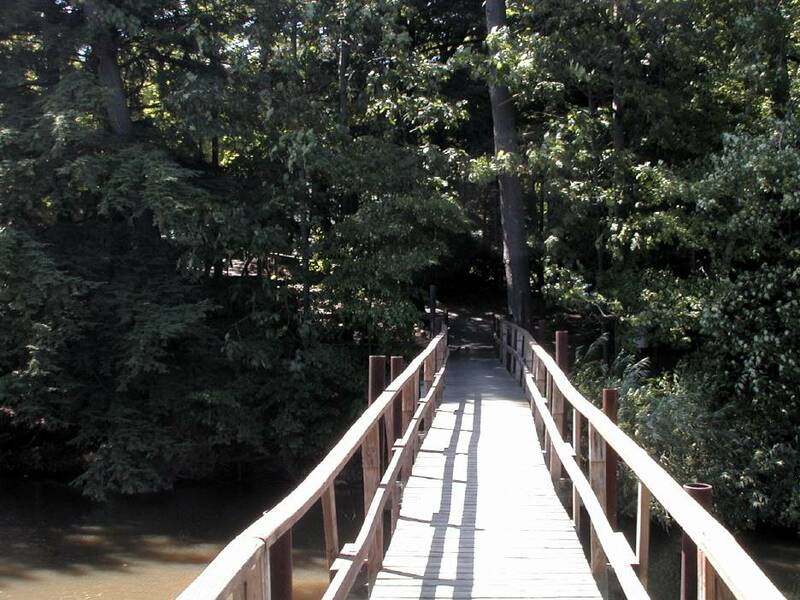 (There is a service road through the state park that opens periodically). There are no winter residents here as the homes are second homes for folks who also come from around the state and Canada. 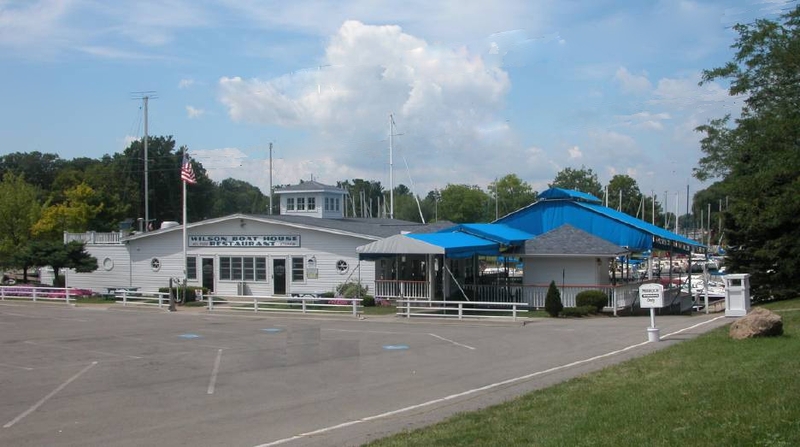 The harbors action spot on the east side, is THE WILSON BOAT HOUSE RESTAURANT. 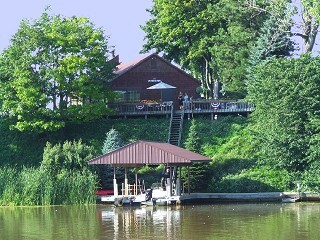 It too a fun spot with live music on the outside deck on Thursday through Sunday during summer. There are three bars, with the newest being the resurrection of the old Five Coconuts Bar, only now it's dockside off premises, but within earshot of the bandstand. 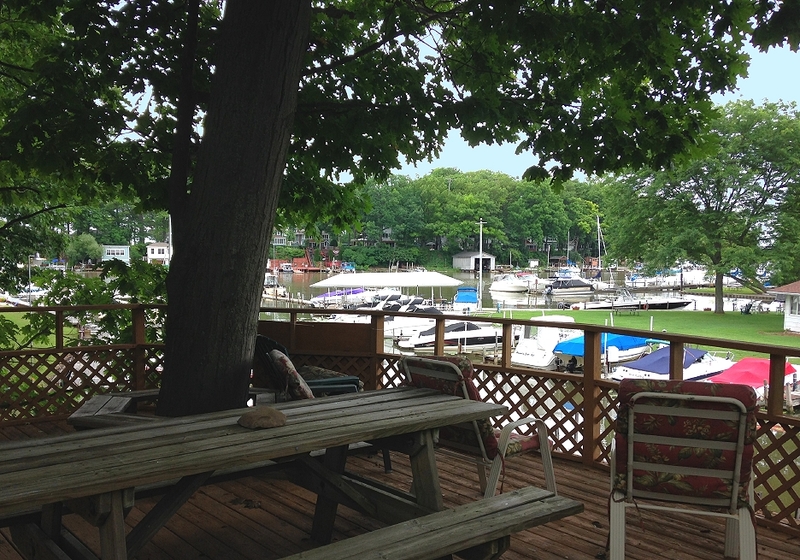 The restaurant changed hands in 2018 and is now owned & run by the family that owns the surrounding marina and shops. As for cuisine, it pretends to be more upscale and priced accordingly. Deck and bar menues are less expensive. It can get very noisy inside during busy nights and weekends. Bartender Chad, the longest continually working bartender in Wilson got his start here and after 16 years moved to the Grill in 2018. By winter, he hosts his very popular website The View From Centercourt on Western New York Boys High School Basketball. Five Coconuts Bar- Wilson Boat House Dockside view. One thing to remember, just about every restaurant has a fish fry (or broiled) on Friday at a reduced price. 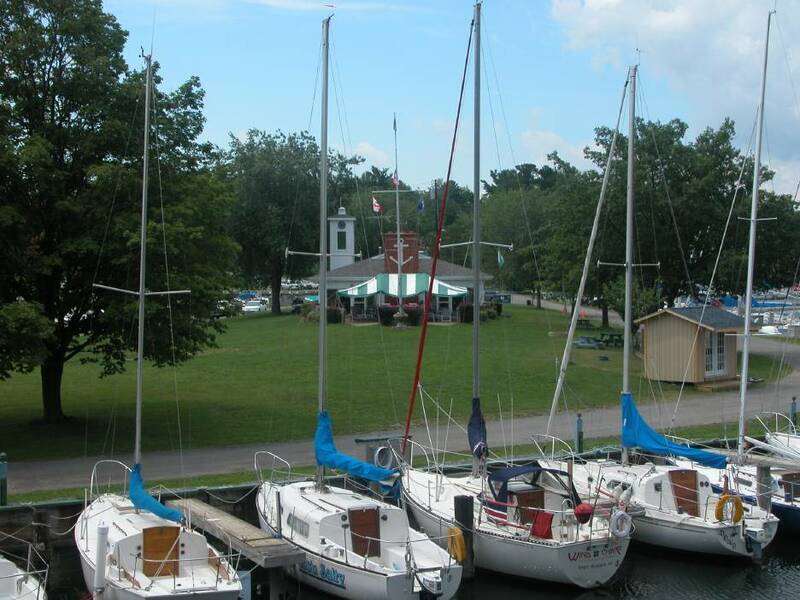 Adjacent to the Boat House, is the Wilson Boatyard Marina. 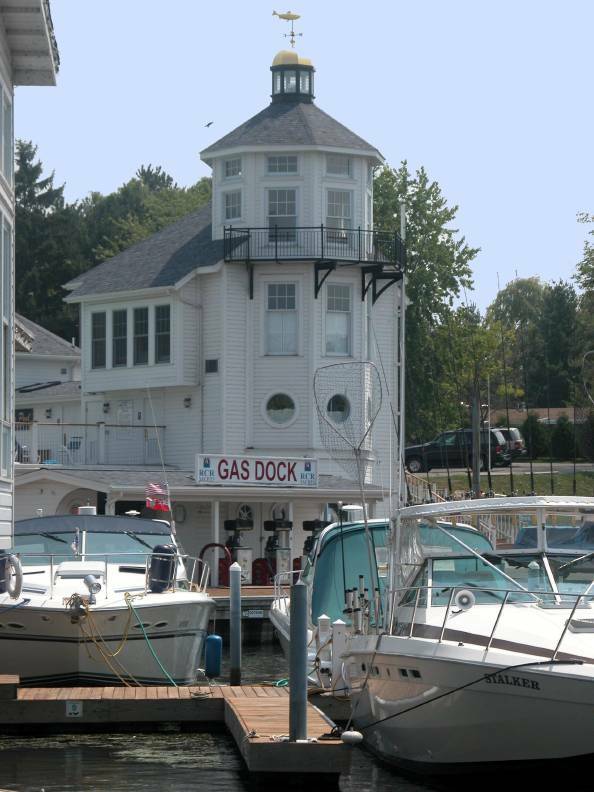 Each side of the marina is lined with a half a dozen or so gift shops plus four rooms for rent in the marina tower. 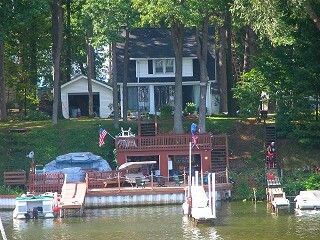 Not to be overlooked are the sailing and fishing charters available here. 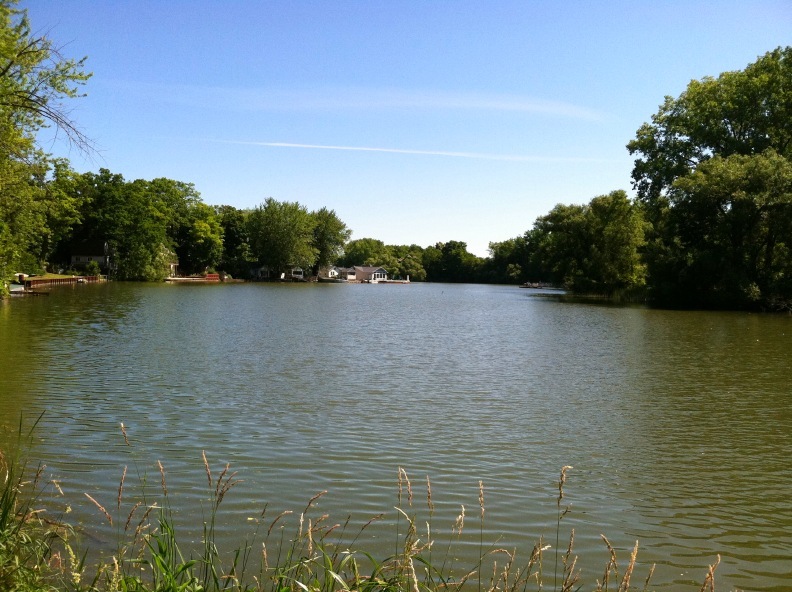 (Did you know the prized lake fish Salmon, that everybody wants to catch is stocked. None are indigenous to the lake anymore and they cant breed without their trek to the sea and back, but that's another story. 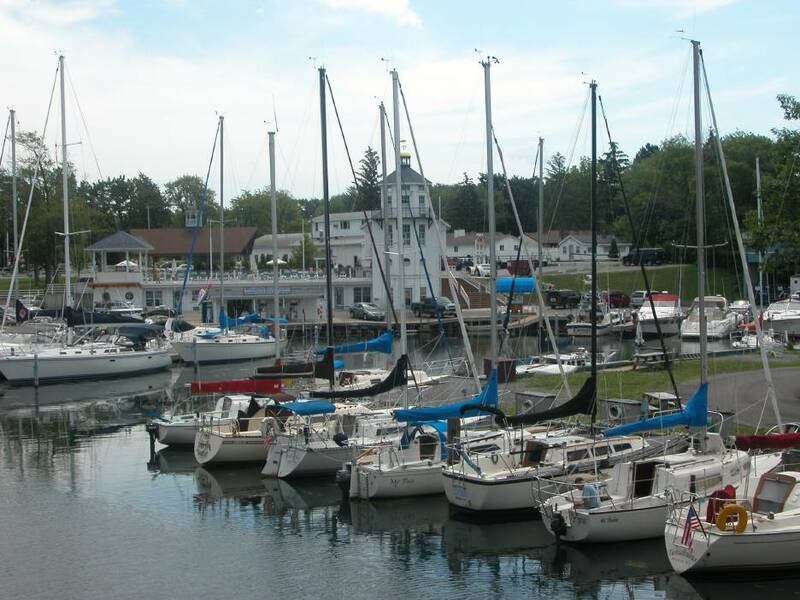 The Marina also provides a complementary boat ride around the harbor (usually on weekends). The young captains work for tips only. 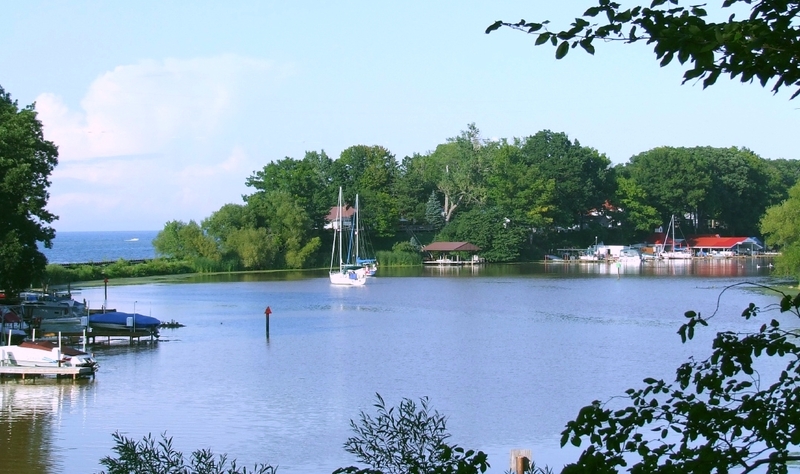 Canoe and Kayaking make for lots of fun out on the lake (weather permitting) and up the creeks that feed into Wilson Harbor. There are a few small rental outfits scattered about the harbor. 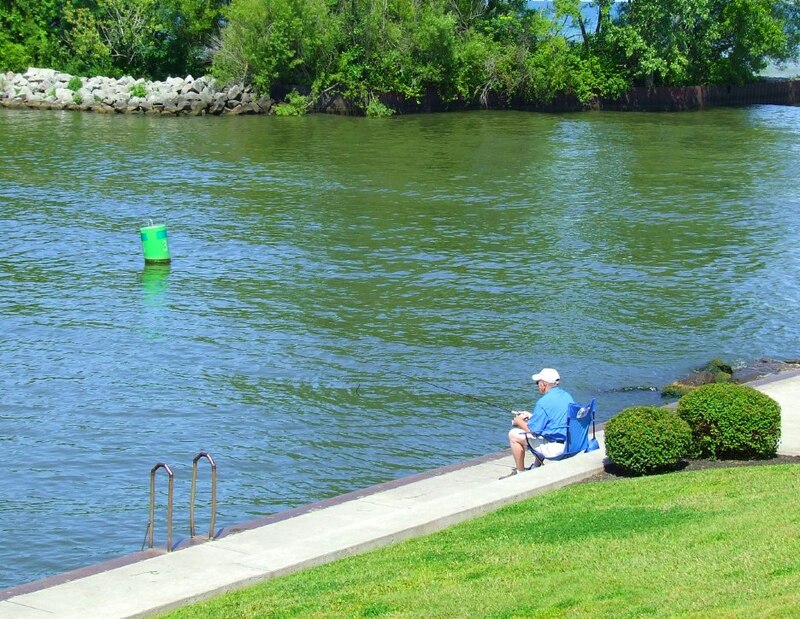 If fishing is your thing another alternate site you might want to check out is the Western Lake Ontario fishing guide. 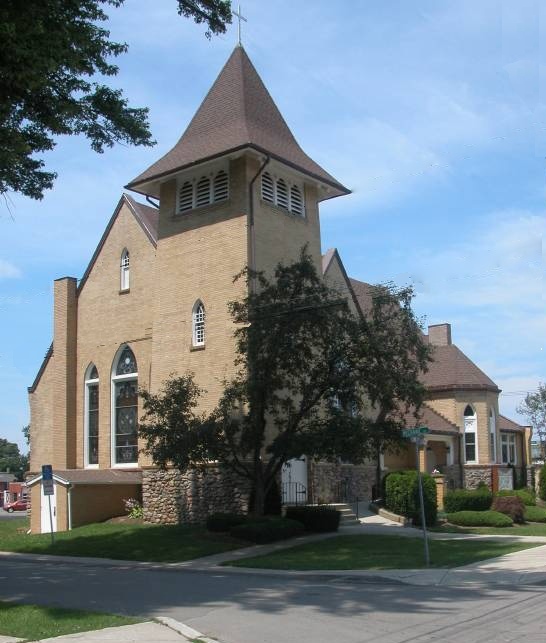 You might also check for information on the website of the neighboring town of Olcott. It's been chosen as Ultimate Fishing Town by the Worle Fishing Network in 2012. 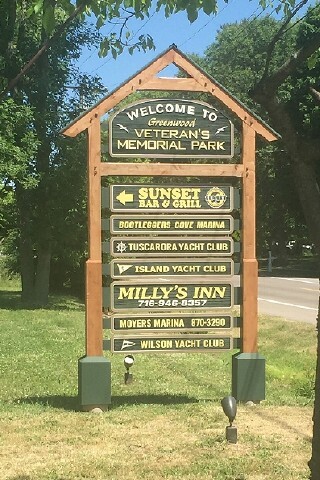 A couple guides who hang their hats in Wilson at Daisy Barn during summer are Captain Roger at Papa Smurf Sportfishing, 860-480-3395 and Kelly Bob, 412-271-6636 both would be happy to run you off shore for a nice salmon or two. Still other Wilson guides that comes to mind are Dan Evans. He is at LoneWolfSportfishing.com. 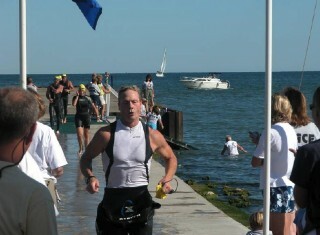 and finally Jack Ozyp at 941- 751-9932. All are USCG captains. 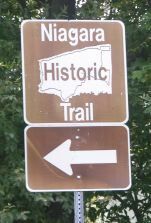 A visitor might enjoy "a taste" of the ever growing and popular Niagary County Wine Country Trail which now includes wineries in Wilson. 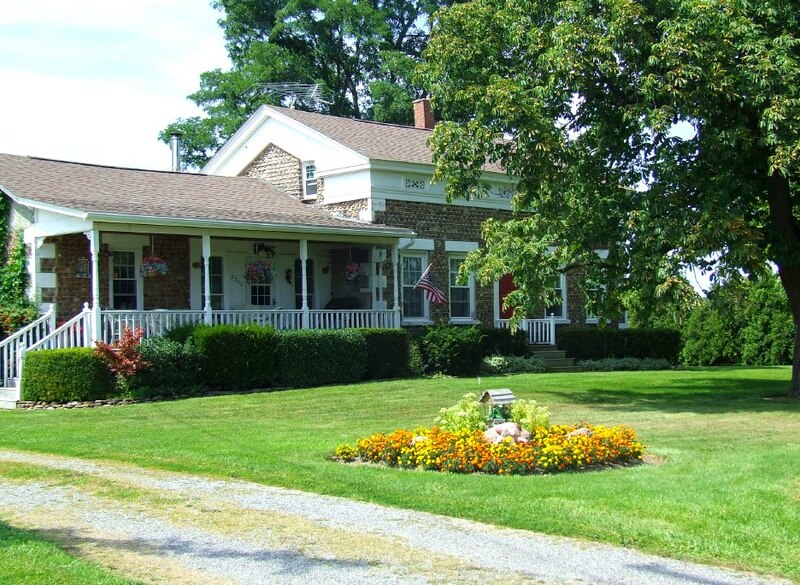 Heading east on Route 18, you'll first see the Victorianbourg Wine Estate, whose wines are offered at the Boat House Restaurant. 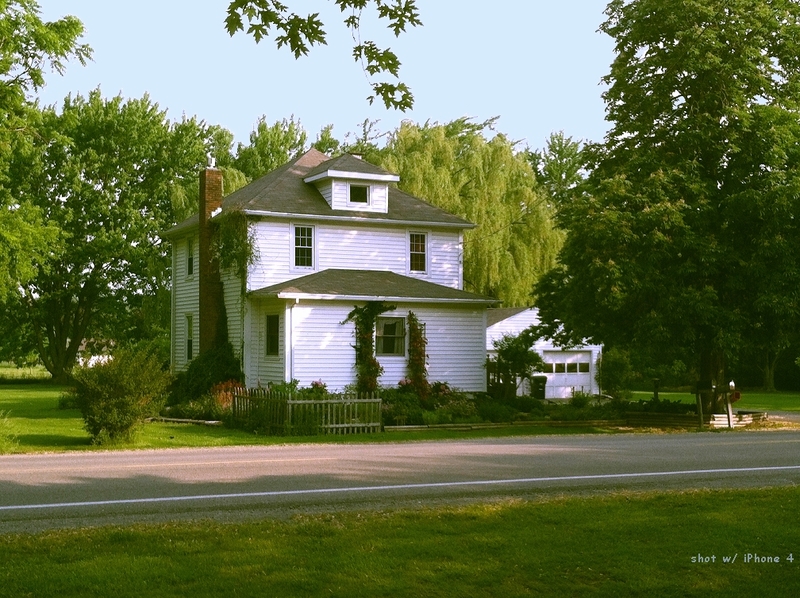 Continuing east a mile or s, on route 18, you next come to the Black Willow Winery whose gift shop offers more than their vinted offerings. It's worth a visit. What started out as only two vineyards a dozen years ago, the Wine Country Trail is now up to 16. 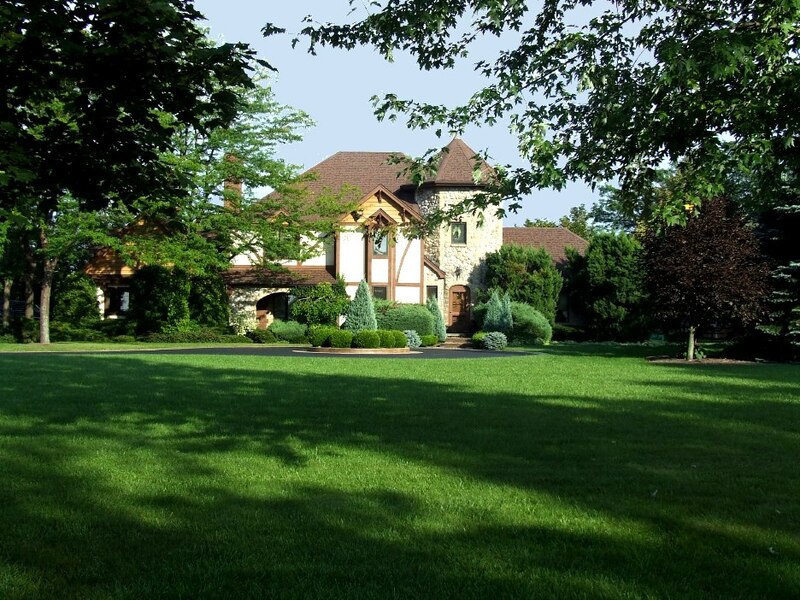 A complete list of nearby wineries is here. 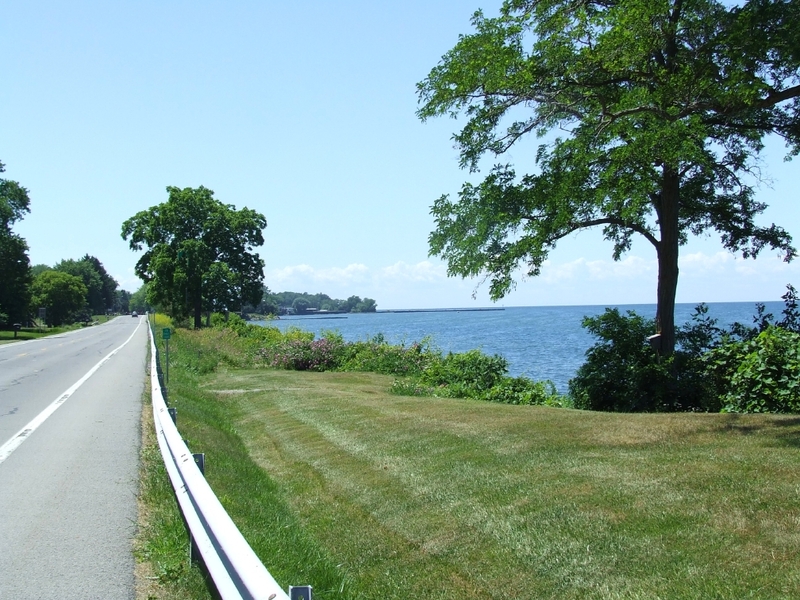 Lakeview Park - At end of Route 425 (Lake St.). Across the parking lot from the Boat House is Clark's Park and pool. It's a popular family spot for cooling off during summer days. 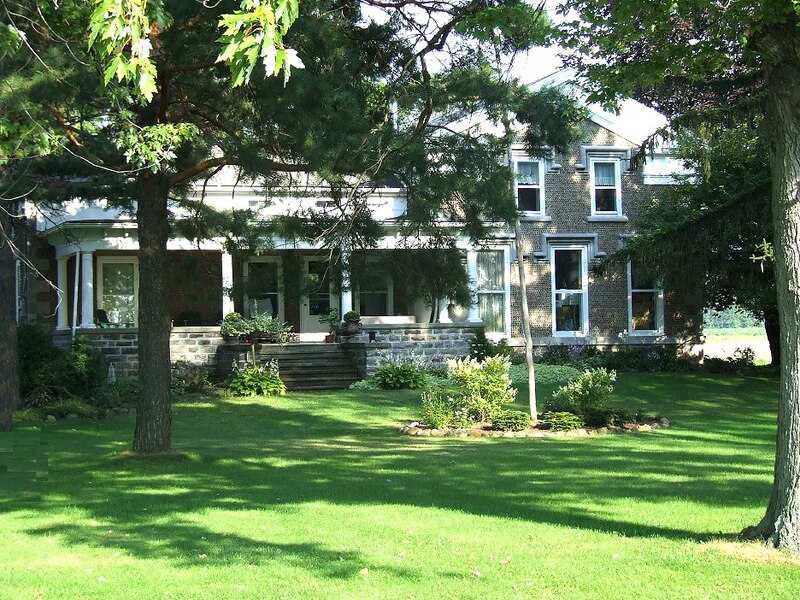 Here, barbeques (IE: Christmas in July party) are scheduled through out the summer. and movies (sched) are shown on selected evenings. Oh, don't forget a stop at Brownies Drive-In. It's a classic establishment in it's own right, all-be-it without waitresses on roller-skates. 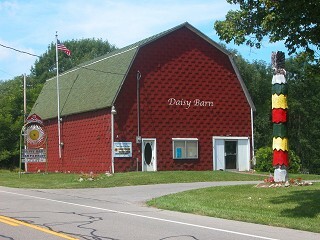 It's right on Route 18 between at Park St. You cant miss it. Fall is a beautiful time as one might expect with the leaves changing. 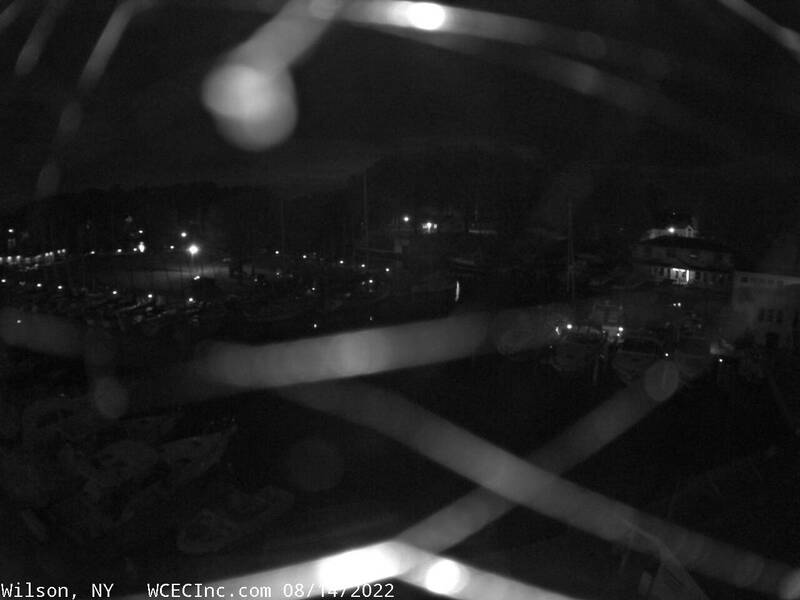 Add to that the harbor hustle and bustle with all the boats being hauled out in preparation for the harbor freeze. It should also be mentioned, the restaurants surrounding the harbor close mid fall through mid spring. For additional fine dining, your best bet would be to head west to the artsy towns of Youngstown and more so the town of Lewiston where you'll find numerous fine dining with some ethnic variety. Our favorite restaurant has been Carmelo's Coat of Arms. When last visited, the four of us concluded we would liken Carmelo's to one of the best in all of Western NY and a worthwhile trip from Wilson, but make a reservation. 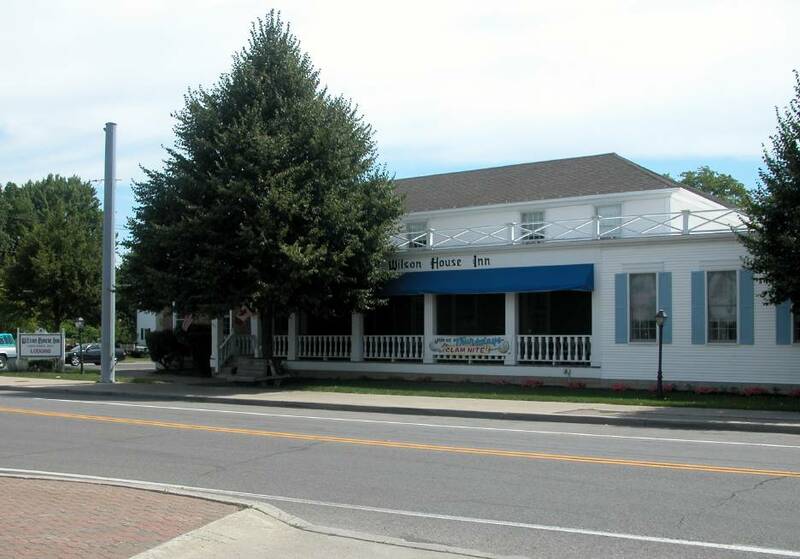 For a listing of all Niagara County's lake region restaurants, click here. 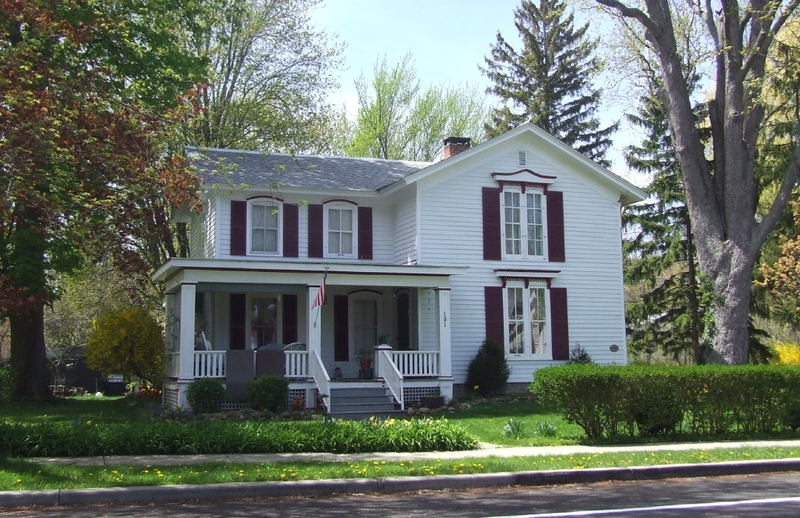 Western New York has much to offer within 20 miles of Wilson, not the least of which is Niagara Falls. Suggestion: Approach the Falls from the north and use Robert Moses Pkwy, This will help you avoid an eyesore of a city. 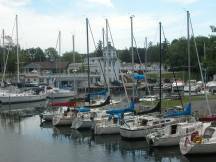 Aside from The Falls one should consider a visit to the historic Erie Canal city of Lockport. In Lockport "view ruins from an earlier industrial age, and walk safely through a water tunnel that was blasted out of solid rock a centry and a half ago." (Lockport Caves). 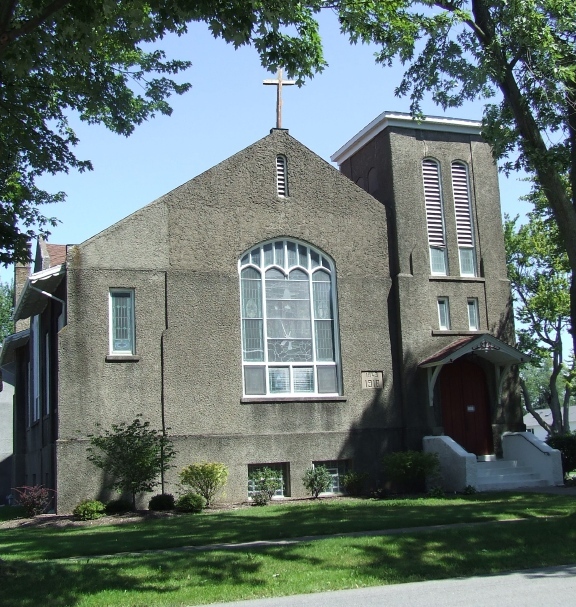 And don't forget a stop at the charming and picturesque Niagara River towns of Lewiston noted for with their praiseworthy Jazz Fest, Art Fest, Outdoor Concerts and more. 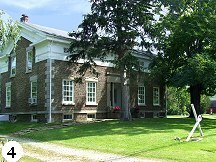 And also Youngstown with it's must see Old Fort Niagara. 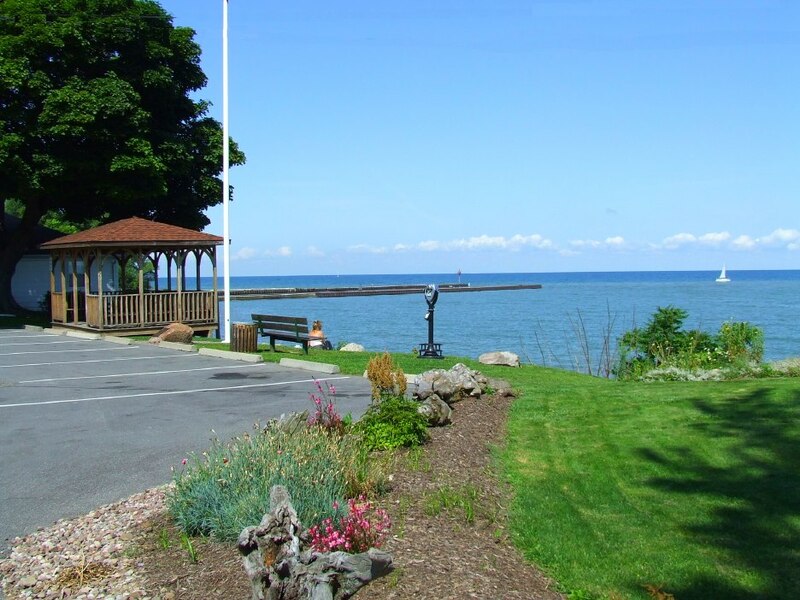 And finally, to Wilson's east, the next town you come to right on the lake, and already written about, the sport fishing harborage of Olcott. 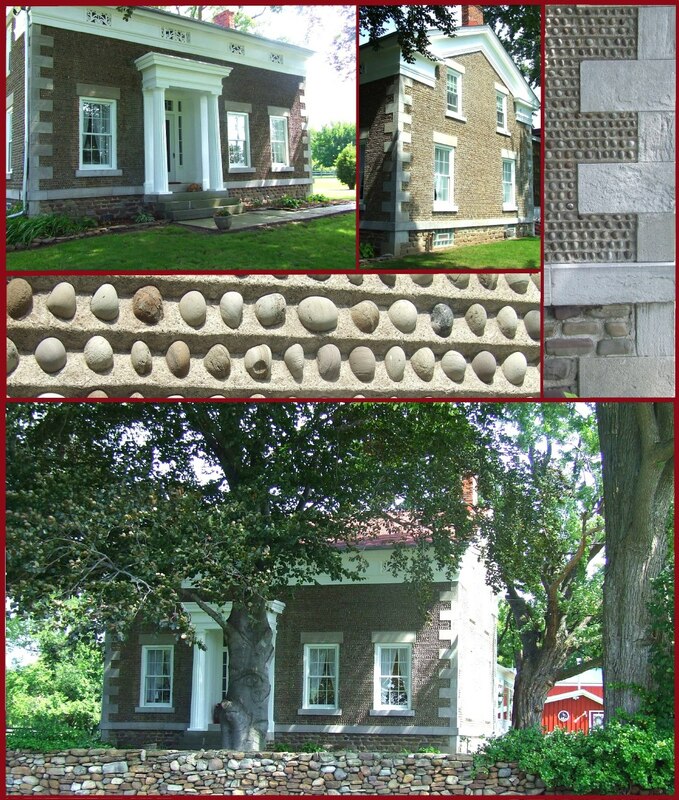 Prior to the Civil War through in the 1800's, in Western NY, many homes were built of cobblestone (as is the Wilson House Inn). The rounded polished rock of Lake Ontario was quite plentiful along lake beaches, and a nuisance to farmers. 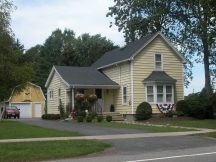 Many of these homes have been well maintained over the years and quite a few are located here in Wilson. 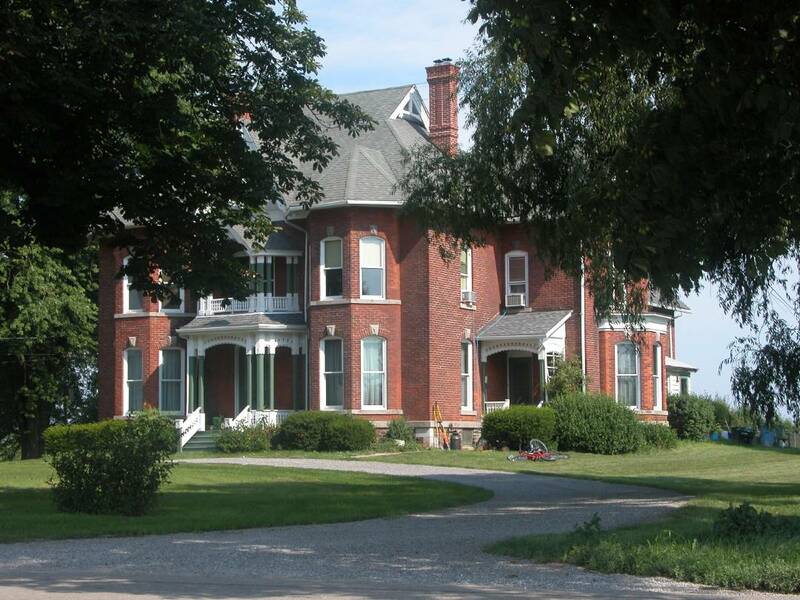 Most of those are on Maple Road and one that we know of, will be soon part of the US Registry of Historic Homes. 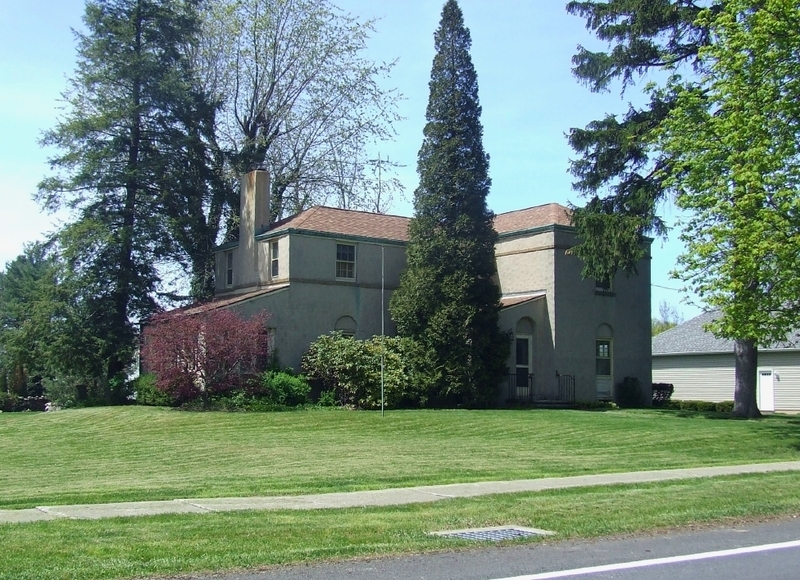 Two of the homes shown here have historical residents of significance as noted on the left column. 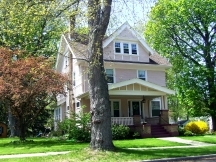 Click here for more info and a NYTimes Article A close-up of the masonry work on home #1 is here. 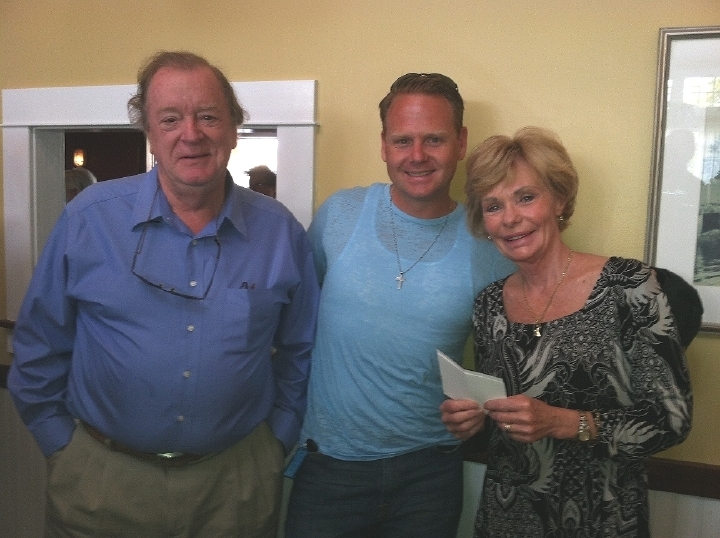 Below is the author and his wife Debbie with Nik Wallenda at the Boat House. The photo was taken a few years ago prior to Nik's Niagara Falls Walk. 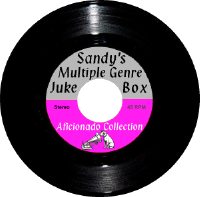 Sandy Estabrook has posted his music Player - a collection of music of many Genres and Countries from the 40's to the present. Music for the Devotee & Aficionado. New playlists are being added regularly. 1/1/18. Photography � by Sandy Estabrook E-mail - sandy A few of Sandy's other websites below.